"It will be very, very good. And quite unexpected. Let me put it this way, the entry and the song that we'll present, I'm extremely enthusiastic about it! And I also believe it will make a lot of chances to finish very high". Miki Núñez will be travelling to Israel to defend colours of Spain with La Venda written by Adrià Salas Viñallonga, guitarist of La Pegatina band. He got 34% of the public votes. Recall, that Miki didn't even qualify to the final of the OT 2018 season, finishing sixth. In the online voting round, La Venda was only fifth. Maria probably happily finishes second with 22% of the votes, and third is duet of Miki and Natalia with 14%. Winner of the Operación Triunfo 2018 Famous is only seventh with 5%. Third live show of X Factor Malta took place tonight. During first half, Ben Purplle and Kelsey Bellante got two last places and were eliminated. During the second half, Norbert Bondin finished last and was eliminated, while Owen Leuellen and Luke Chappell met in a Sing-Off. Jury's opinion was divided and public has saved Owen. Thus, four acts taking part in the final which is scheduled for Saturday, 26 January, will be Michela Pace, Petra, Nicole Frendo and Owen Leuellen. Eight of eleven remaining contestants of Israeli preselection show Hakokhav Haba performed tonight in 25th show, and so far Osher Biton has the lowest score and thus is candidate for relegation. Remaining three acts will perform tomorrow. Singer Khayat told ESCKAZ about his self-written entry Ever, which will be presented on 31 January. Song is in electro-folk genre and will be performer in two languages: English and Ukrainian. On the staging artist is working with film director Sevin Dieva. Video comes with English subtitles. 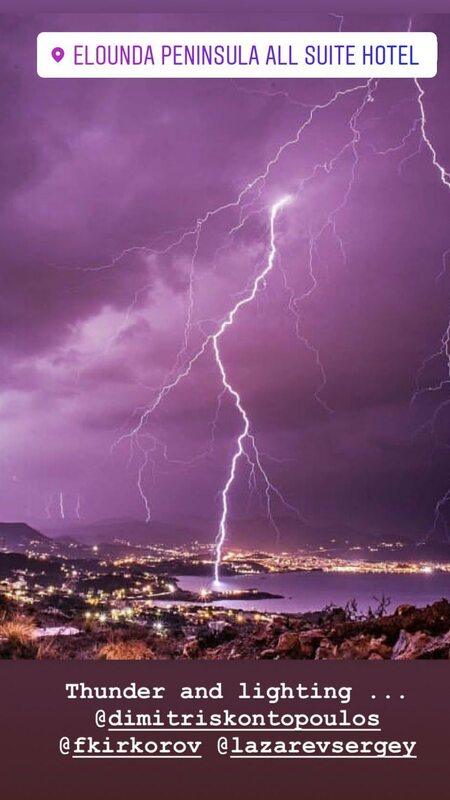 19:00 CET, Georgia, Sakartvelos Varskvlavi, 3rd show, online. Finalists: Mariam Kakhelishvili, Ikako Aleksidze, Dima Kobeshavidze, Liza Kalandadze, Nini Tsnobiladze, Giorgi Pruidze, Giorgi Nakashidze, Beso Nemsadze, Oto Nemsadze, Tamar Lachkhepiani. Recording of the show: Youtube. 19:30 CET, Hungary, A Dal, Quaterfinal 1, online. To the semifinal qualified Gergő Oláh, Gergő Szekér, Timi Antal feat. Gergő Demko, Konyha, Nomad on jury decision and DENIZ on televoting. Episode in archive: here. 20:00 CET, Lithuania, Heat 2, online. To the next stage qualified: Edgaras Lubys, Emilija Gogolytė, Junà, Lukas Bartaška, Original Copy, Paola Hart. Recording available here. 20:15 CET, Israel, Hakokhav Haba, Show 24, online. Clara Sabag leaves the show. Separate videos from the show available here. 21:00 CET, France, Destination Eurovision, Semifinal 2, online. To the final qualified: Seemone, Emmanuel Moire, The Divaz, Doutson. ESCKAZ has talked with the participant of the Ukrainian preselection Ivan NAVI, who will perform the song All For The Love (music by Ivan NAVI, lyrics by Nana Kovaleva, arranged by Andrey Lemishka). The song, about the love to everything that surrounds us, was written spontaneously on a sunny December day. There is a touch of gospel in the song, so the staging will be in this style, with backing vocals, but without something supernatural, because the artist considers it more important to transfer the mood of the song from the stage. 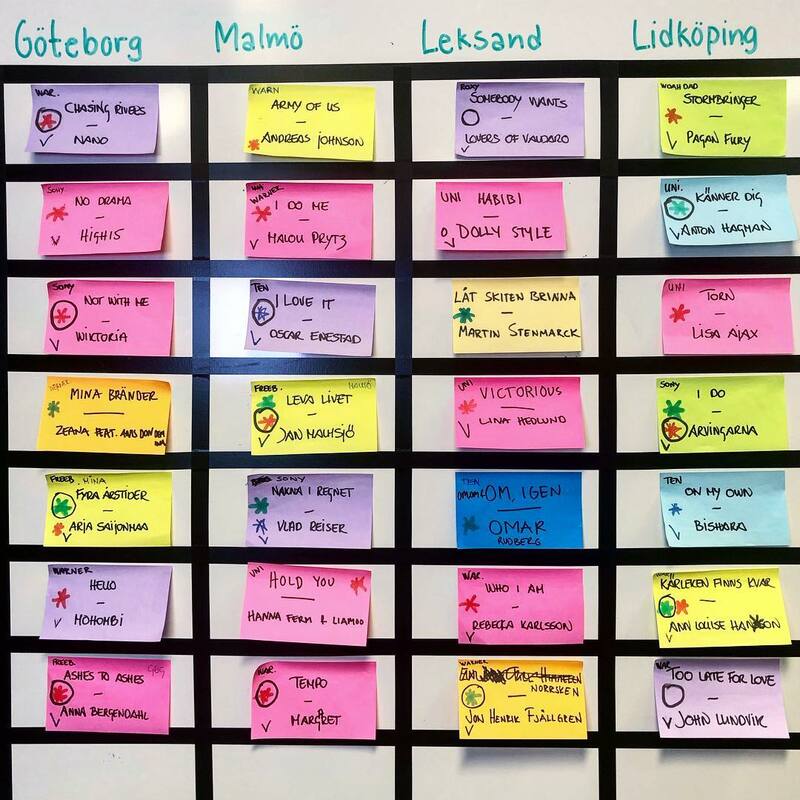 The voting system will undergo a significant change for the 2019 Melodifestivalen. Just as in the old days was the jury, this year the viewers will be divided into age groups. Each of these age groups will be counted as a jury group, which will receive award points in the classic scale, where the top entry receives 12 points. All of the age groups have the same amount of points. Apart from seven age groups, the telephone votes will be counted as an eights group. The possibility of voting by SMS disappears. To counterbalance the eight viewer groups, there will be eight international jury groups in the final and there will be no percentages used. Each group will give 43 points on a scale: 12, 10, 8, 6, 4, 2, 1 in semifinals and 58 in the final on scale 12, 10, 8, 7, 6, 5, 4, 3, 2, 1. In Second Chance round, each group will have 1 point, if the result is drawn 4-4, then the total number of votes will determine the winner. Already after each semifinal, we will know the exact number of votes for the song placed five to seven. As big as this change seems, however, it would not have changed any of the songs qualifying for the final from the semi finals last year. The new system will not be used in the dramaturgical presentation of the results in the shows, but for full transparency, all the stats, including age groups, will be released the week after the final. Furthermore, the voting heart visible on the TV screen will change. The heart will only pound, not being on fire, and the variations will be considerably subtler. This way, it will be harder to figure out the result by following the heart. Also, the heart will change color based on the age groups that show the highest engagement at the moment. At least 3 colours will be displayed simultaneously. 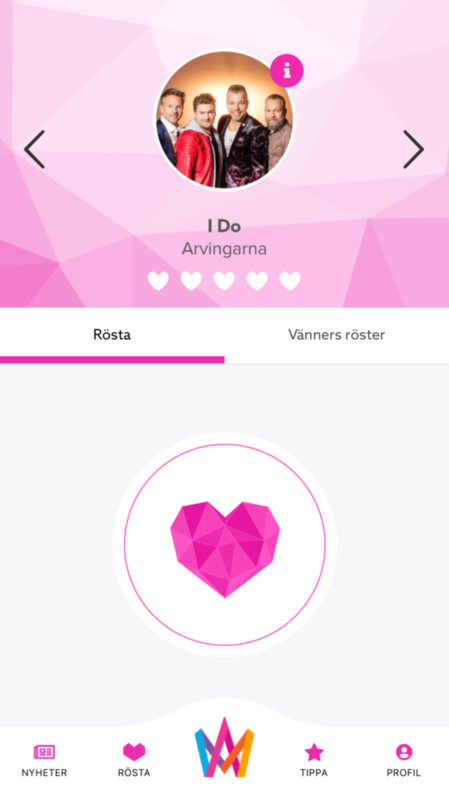 App voters will now have to fill their age, but they as usual will have up to five hearts to give per entry. Many have assumed that it is the young viewers who have been having decisive vote when app voting has been introduced, but the differences between different age groups vote have generally been small. 28 entries have been submitted for the Eurovision preselection in Moldova. Reportedly, the list includes both experienced artists and young ones who want to get their first experience on the big stage. On Monday, 21 January, members of the Organizing Committee of the show will meet to review submissions and verify that they meet all the conditions stipulated in the Competition Rules. A decision will be taken on Monday on the date of the live auditions, when the jury, consisting of professionals in the field, will assess the vocal performance of the contestants. María and Natalia encourage fans to vote for La venda of Miki. 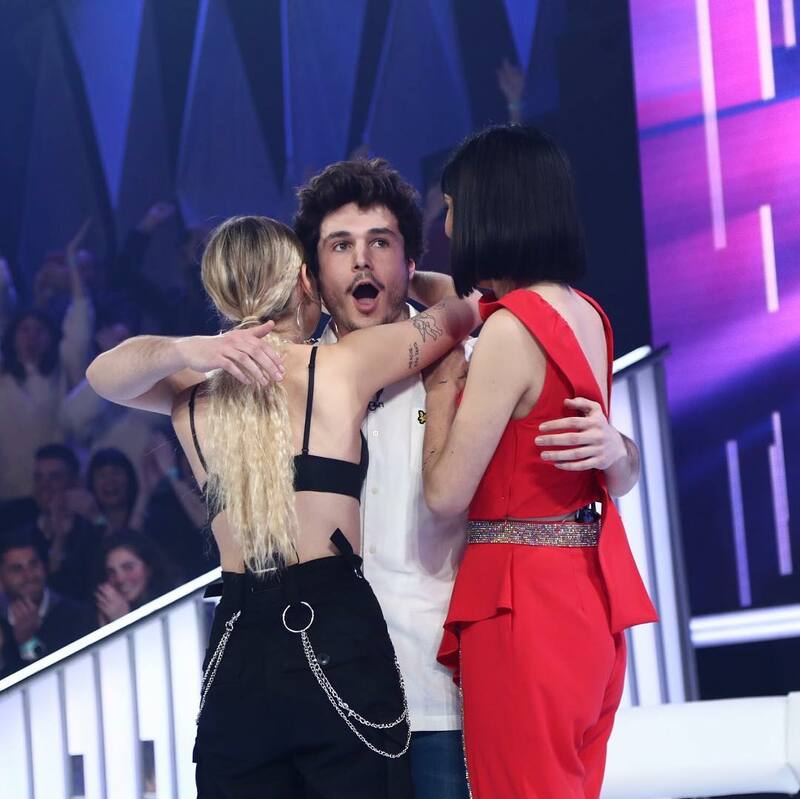 Upon their arrival in Barcelona and in front of a group of fans, they not only sang with laughter the song of their "rival" Miki, but they explicitly asked to vote for him. The moment was published on Twitter by _paulannister. María and Natalia are two of the contestants who have shown most indifference in the face of the possibility of representing Spain in Eurovision. At the Eurovision master class taught by César Vallejo, Irene Mahía and Fernando Macías of RTVE Digital in The Academy singers have shown complete apathy. "It's not a matter of the festival, it's very good as an opportunity. They are other things that have nothing to do with music. If it was taking place in Amsterdam... it's all I have to say, "said Alba Reche, who will not compete in Eurovision final. Natalia has agreed: "The attitude would have been more open if it had been held in another location". They were supported by Maria who said that the choice is unfortunate. To it adds the zero promotion that they have made of their songs in social networks, composed by great professionals of the music industry such as David and Juan of El Sueño de Morfeo, Ander Pérez or Merche, among other authors, limited to thanking composers for their work on the day of presentation of the topics and, at best, tweeting on their publication last night. Presentation of the entries taking part in British preselection BBC Eurovision: You Decide will take place on Wednesday 23 January at 10:00 am local time (11:00 CET). Laura Bretan was moved to the second semifinal of the National Romanian Selection, which will be held on Sunday, February 10, in Arad. "The postponement of the Aradian semifinal, scheduled for January 20, allowed the organizers to return to the original line-up. We thank Laura for agreeing and reorganizing her program to this effect", says TVR statement. Thus, if there will be no further changes, 11 acts will compete in first semifinal and 13 in the second. Music reporter of Dutch program Shownieuws Koos van Plateringen: song for the Eurovision 2019 was chosen and it is dance number, for which performer is currently scouted. It is possible that the song was prepared by one of the well-known DJs, in particular name of Armin van Buuren was mentioned in the program. SBS and production partner Blink TV today announced five new songs and the final three acts to compete in the first ever national selection show Eurovision – Australia Decides next month. Hosted on the Gold Coast and broadcast live and exclusively on SBS on Saturday 9 February, Eurovision – Australia Decides will showcase some of Australia's biggest acts, singing original compositions, for their chance to represent the country at the Eurovision Song Contest 2019. SBS can also reveal five more original compositions released today: Mark Vincent will sing This Is Not The End, a powerful song about facing obstacles with persistence and determination. Aydan's song Dust is about young love and heartbreak, 16-year-old Leea Nanos' song Set Me Free is about empowerment and letting go of self-doubt, while Alfie Arcuri's To Myself questions how one could ever doubt their self-worth. Teased over New Year's Eve, modern electric-soul duo Electric Fields's song 2000 and Whatever is a brooding and joyous track about making the most of life, while legendary drag queen Courtney Act's song Fight for Love was released last month. This leaves just four songs to be released from Sheppard, Kate Miller-Heidke, Tania Doko and Ella Hooper. Alfie Arcuri said: "It's an honour to be involved in a competition that celebrates and embraces music and diversity... and to take this journey alongside such amazing Australian talents is truly incredible! There's always something special about the first - scary but exciting!". Ella Hooper said: "It's very exciting to be involved in anything that is the first of its kind, and in recent years I have become more and more fascinated with Eurovision, so it's perfect timing! I'm hoping to bring a bit of traditional rock ‘n' roll energy to a bombastic performance of a meaningful pop song." Tania Doko said: "This is one of those unplanned, didn't-see-this-coming little chapter in my career I'm embracing with a sense of adventure and excitement. Then, as a songwriter performing a song I co-wrote, there's the icing on the cake right there!" 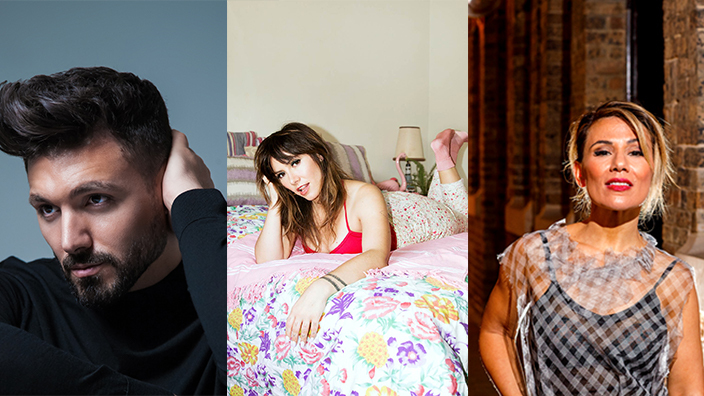 SBS Commissioning Editor Josh Martin said: "These final three world class performers complete the line-up for the first ever Eurovision - Australia Decides and the songs released today are incredible. Australia has a new summer music festival, and it's an event not to be missed – either on-ground on the Gold Coast or on-air around the country!" Creative Director of Eurovision – Australia Decides Paul Clarke said: "Our last three artists who make up the ten finalists really complete the show. Ella is an Australian crowd favourite and possesses the best wild rock female vocals in our country since Chrissie Amphlett. Alfie has a soul voice to die for - it's so moving when you hear it on his own track, really spectacular. Tania Doko is an Olympic pop singer, and was the vocalist on Australia's biggest ever radio hit, ‘Buses and Trains'. We are so pleased they make up our final ten - a very diverse group that complements many of the sounds of Australian music.". Final versions of Eurotemazo - entries competing in Spanish preselection have been presented. They can be heard at RTVE website. 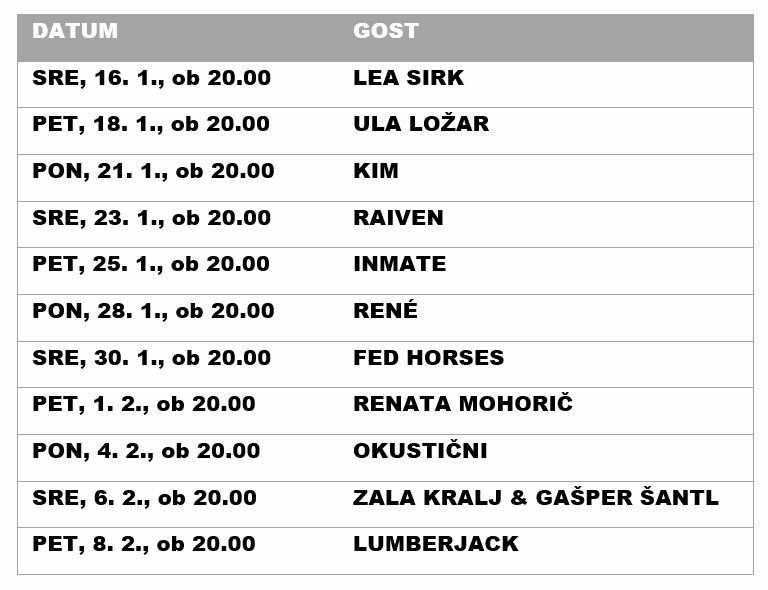 List of finalists of Croatian preselection Dora has been revealed. 16 entries and 2 reserve songs were chosen by professional jury which has included Ivana Vrdoljak Vanna, Zlatko Turkalj Turki, Igor Geržina, Ante Pecotić, Antonija Šola, Zlatko Gal and president Željen Klašterka. This year, the stage designer Viktor Brattström has refused to choose between lights and LED. To the left is a stage solution with light, to the right is a high-resolution LED wall. - Some artists will go between the two parts of the stage to get two different effects in the same number, says Viktor Brattström. Details are available at SVT website. MK is the latest source to confirm participation of Sergey Lazarev in the Eurovision 2019. "From absolutely reliable sources "MK" has learnt that literally from day to day (if not from hour to hour) it will be officially announced that the participant from Russia at the Eurovision 2019, which will be held in May in Tel Aviv, will be the singer Sergey Lazarev. The construction has been tested over the years - the international "Dream Team" returns to the competition. Lazarev will sing a song composed by Philipp Kirkorov and Dimitris Kontopoulos, and for the stage presentation will be responsible Fokas Evangelinos. According to "MK", the song will be made public either alongside the official announcement of Lazarev's participation in the contest, or several days after". Recall that VGTRK does not confirm that Sergey Lazarev has been chosen for the contest, with official announcement coming in the end of January. Organizers also made a statement that possible violation of rules by the song "Destin" by Trooper was analysed and rejected, so the song remains in the running. Slovenian preselection EMA 2019 will take place on Saturday, 16 February, at 20:00 in Studio 1 of Television Slovenia. A novelty this year is that EMA will include several online shows, where one will be able to get acquainted with all the participants. 11 broadcasts will take place on the official Youtube channel EMAEvrovizija, and on the RTV 4D web portal. Premiere of broadcasts will be on Mondays, Wednesdays and Fridays, at 20.00, and will start with last year's winner, Lea Sirk. The first broadcast will be on Wednesday, 16 January. The host is Nejc Šmit. The All-Russia State Television and Radio Broadcasting Company (VGTRK) responsible for the selection of the representative of Russia at the Eurovision Song Contest 2019 does not confirm spread in the social networks information that performer Sergey Lazarev will represent Russia at the Eurovision 2019 in Tel Aviv. "We don't confirm that! Official participant will be presented in the end of January", stated to ESCKAZ senior member of the Russian delegation in the contest. According to VGTRK, the representative of Russia will be chosen by professionals, fluent both in Russian music scene as well as in the tendencies of the international scene in the end of January from several possible candidates. Schedule of three evenings of HRT Days in Opatija has been confirmed. On Valentine's Day, HRT will host the concert at Drago Gervais Hall at 20:00 with performances of the Symphony Orchestra of HRT under the direction of conductor Rober Farkas, winner of the International Competition of Young conductors "Lovro pl. Matačić ". The concert will be joined by opera singer Kristina Kolar and winner of the first season of Maestro Ozren Grabarić, program will be hosted by Robert Ferlin. A day later, in the same hall, a concert will be held by the Jazz Orchestra of HRT, which will, in its way, perform the popular compositions of the Opatija serenades with guest singers - Antonela Doko and Elvis Stanić, Marko Tolja, Nina Kraljić, Jacques Houdek, Marko Kutlić, Iva Gortan i Damir Kedžo. Hosts of the night: Daniela Trbović and Ivan Vukušić. Held in the sports hall Marino Cvetkovic. 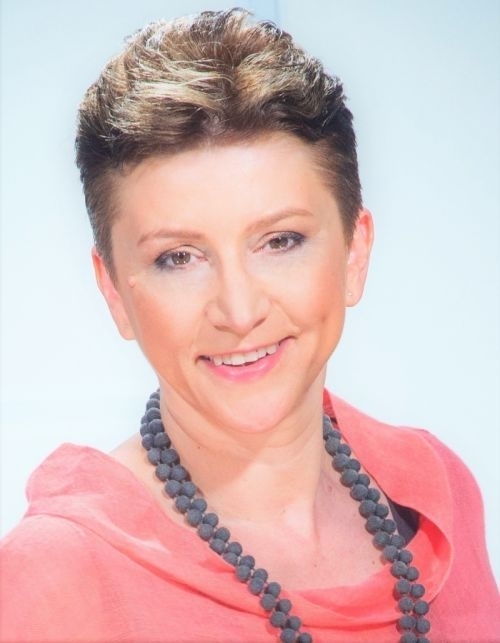 Croatian preselection Dora will be hosted by HRT veteran Mirko Fodor, joined by Iva Šulentić and Jelena Glišić. Director of the show - Ivan Miladinov. Members of preselection jury: Vanna, Zlatko Turkalj, Igor Geržina, Ante Pecotić, Zlatko Gall, Antonija Šola i Željen Klašterka. List of participating entries will be revealed tomorrow at 12:00 local time. Twelve qualifiers to the 4th stage of the Israeli selection show Hakokhav Haba have been determined. Videos of the episode are available here. 2 wildcards: Avraham de Carvalho, Shefita. Participant of the Ukrainian national preselection LAUD talked to ESCKAZ about his contest entry "Dva dni" (Two days), written by Vanya Klimenko (of Salto Nazad) and Stas Chyorny, which will be presented on 1 February. Organizers of the Eurovision Song Contest have been running negotiations with the representatives of singer Madonna inviting her to perform as guest act at the Eurovision 2019 final, reports Ynet portal. According to he publication, the singer has expressed her agreement in principle to perform at the show, but there still are financial gaps between conditions of both sides. It was previously mentioned by Israeli sources that organizers are searching for the international star to feature in the show, and names of Coldplay and Elton John were rumoured to be discussed. None of the reports have been confirmed by KAN.
Michael Schulte, Revolverheld and Udo Lindenberg will become guest acts of the German selection show "Unser Lied für Israel". Who will represent Germany in the ESC Final 2019? This will be decided on Friday, 22 February, in the show "Unser Lied für Israel". Das Erste, ONE and Deutsche Welle will broadcast the German ESC decision live from Berlin at 8:15 p.m. While the TV audience and the juries vote on which of the seven acts in question is their favourite, other stars are in the spotlight: Michael Schulte, Revolverheld and as special guest Udo Lindenberg. Michael Schulte reached 4th place at the Eurovision Song Contest in Lisbon last year. The band Revolverheld and Udo Lindenberg are among the most successful German music acts – Lindenberg's new album reached number 1 in the German album charts shortly before Christmas. Revolverheld-manager Sascha Stadler belonged to the german national jury for the Eurovision Song Contest last year. The seven acts applying for a ticket to Tel Aviv at "Unser Lied für Israel" are Aly Ryan, BB Thomaz, lilly among clouds, Linus Bruhn, Gregor Hägele, the duo Sisters (Carlotta Truman and Laurita) and Makeda. Barbara Schöneberger and Linda Zervakis host the show, Peter Urban is the commentator. Tickets for the show at a price of 39 Euro are available at tvtickets.de. Producer of the NDR show is Matthias Alberti of Kimmig Entertainment; the show will be produced together with Lodge of Levity (Florian Wieder, Jens Bujar) and digame mobile. Director is Ladislaus Kiraly, commissioning editors are Florian Fehrenbach, Thomas Schreiber and Christoph Pellander. 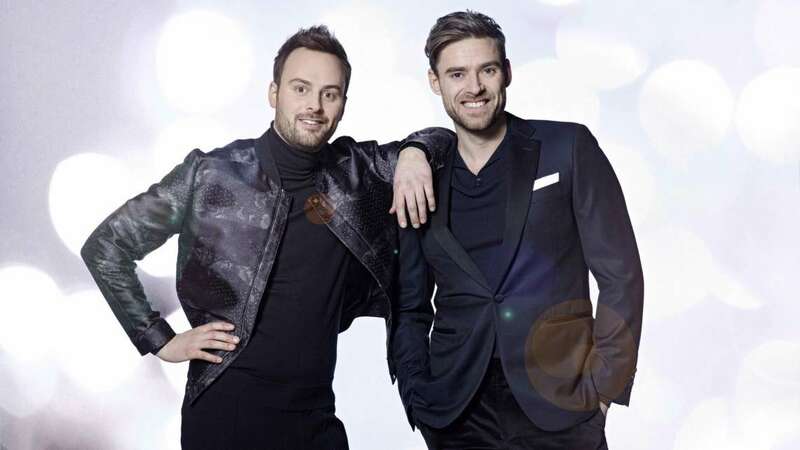 Johannes Nymark and Kristian Gintberg will host Dansk Melodi Grand Prix 2019. Nymark will be in charge of the hosting for the third time and Gintberg will debut at the role. DMGP will take place on 23 February in Boxen in Herning, broadcast at 20:00 live on DR1. "It'll be mega cool! The two previous years have really been fun to be able to guide the viewers and people in the hall through the show", says Johannes Nymark, who won DMGP 2016 with band Lighthouse X. "It has been a fun development in my life first participating in DMGP and since then being the host - so far for the third time. The more you try it, the easier it goes. This means that I can relax even more in the role this year". "It is not so much about whether you work with a man or a woman, but about the energy that arises in the relationship on the stage. Annette and I fit nicely well together, and I think Kristian and I come to that as well. We already have a crazy fun together". Kristian Gintberg is also looking forward to hosting the big music competition. "I'm really crazy, because all the people who come in and see the show are fans. When you see it on television, you can really feel that it is a hall that comes to boil", says Kristian Gintberg. He has previously hosted Ramasjang Mysteriet, Lille Nørd and the Junior MGP. "It is the largest program DR has, and at the same time it is a tradition. It feels like a feast when there is the Grand Prix. It's a bit like the European Football Championship - just for music. I am very proud to be the host". "I have also been allowed to sniff some of the songs, and I can only say that they are insanely good"
"I have never actually been to the Boxen, but I remember how impressed I was when I hosted MGP in Gigantium in Aalborg some years ago. And this is even bigger"
Gintberg is glad that he will be on stage with Johannes Nymark. "When you are put together as hosts, you have a short time to get to know each other, but we already have a good time together. We have fun naturally and like each other, and it really is really cool. 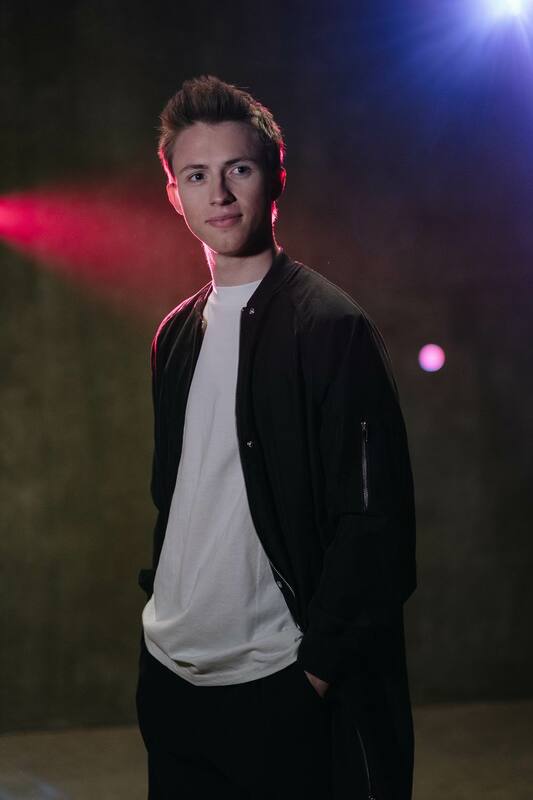 I have the feeling that we have known each other longer than we actually have"
At the Eurovision Song Contest, representative of Belgium Eliot will perform English language song "Wake Up", composed by Pierre Dumoulin. 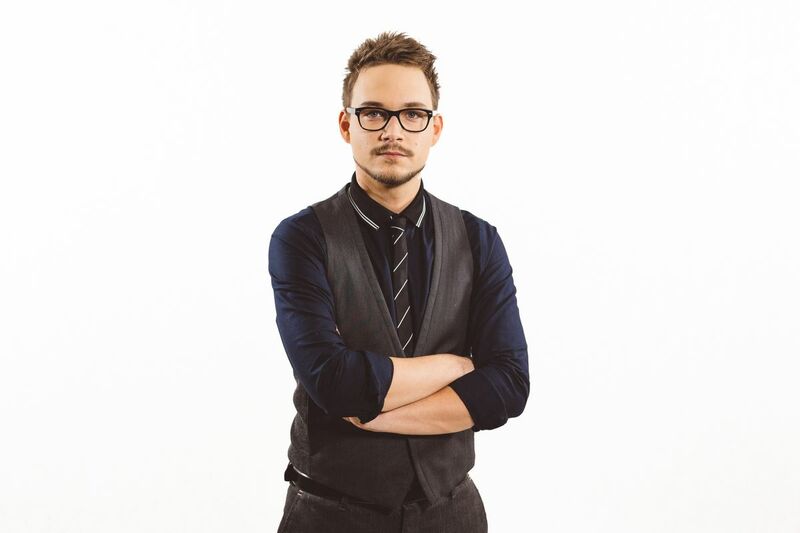 Eliot has been revealed under his real name (Eliot Vassamillet) during season 7 of The Voice Belgique. After being eliminated during the live stage, the young man was contacted by Pierre Dumoulin in the spring of 2018. "Pierre has invited me to his home in Liège. I told him my background and my expectations. The first guitar I got at the age of seven, two years of solfeggio, my passion for Anglo-Saxon pop and melancholic songs. Pierre made me listen to a demo which would later become Wake Up and I immediately hooked. We talked together about the topics of the song. Wake Up is a call to youth to improve the state of the world and mobilize for peace. This is a positive message that we want to pass on". After the adventure in The Voice, Eliot has given several concerts in Belgium. Aged 18, Eliot is currently finishing high school at Saint-Stanislas College in Mons. Host broadcaster KAN offers Israeli fans an opportunity to win tickets for the contest in Tel Aviv. Deadline to enter is 27 January, 17:00. Winners will be notified on 17 February. Video call also gives confirming hints that Lucy Ayoub and Assi Azar will be involved in Eurovision hosting, they are supposed to become Greenroom hosts. Mihai Trăistariu reveals that he has contacted San Marino to propose them his participation. "I have withdrawn in the evening, and in the morning I woke up suffering because I did not like to lose and I took a look preselections in which countries are still running. So I decided to send e-mail to San Marino, which accepts entries by 21st. And now I'm waiting for their answer, though, by rumors they have already found a representative"
"I will not leave my dream of getting back to the Eurovision, but I'm not sure if this happens this year. I also looked at Moldova, but there you have to be a Moldovan citizen or do a duet with a citizen. Should I do a duet, I don't know yet. Eurovision is the goal of my life and I will get there no matter from which country. If I see that I can not go with Romania, I will go to other countries. " "I have withdrawn for several reasons. The main reason was that the preselection ended on December 10. Me and other artists struggled to get everything ready on time. Then Dan Bittman has withdrawn and everyone expected they will invite someone who was 25th in the list, but TVR told us they will not call a replacement. We continued preparations and then saw that organizers changed their minds and decided to move on with this wildcard. But wildard is used when someone qualifies from semifinal to the final, and not the way they did. They went over 126 acts who competed in the first stage, and directly added two entries to the competition which was unfair to everyone". Official: RTBF confirms Télépro report: Eliot Vassamillet will become Belgian representative in Tel Aviv. For the occasion, 18-years old high school student will not be using his surname and will perform only as Eliot. Once again Pierre Dumoulin from the Roscoe group will be composer of the song. Pierre was also co-author of Blanche's "City Lights", which finished 4th. "As soon as I saw Eliot's performance at his Blind audition, I felt he had 'that extra stuff that I'm looking for in an artist, that sensitivity and crack that's needed to convey the emotions", explains Dumoulin. Pierre Dumoulin has also written songs for Noémie Wolfs (ex-singer of Hooverphonic) who will soon release her new solo album in 2019, Emma Bale , Tessa Dixson and for the Bulgarian singer Kristian Kostov. The song will not be revealed until February. 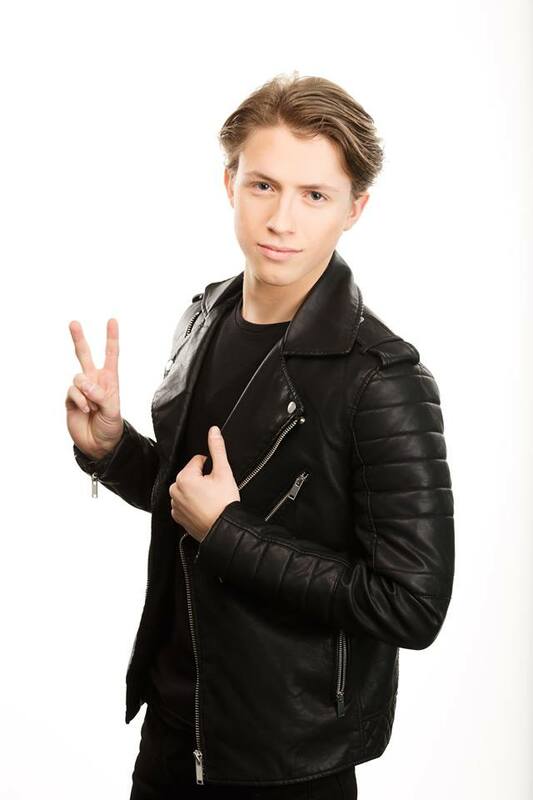 Eliot Vassamillet to represent Belgium at the Eurovision Song Contest 2019? According to the latest report by Télépro, Valentine Brognion is not in the race, but still a talent show participant will go to Tel Aviv. According to the source of publication, Vassamillet was already chosen for the contest back in October. 17-years old singer is also participant of "The Voice Belgique", where he first competed in Slimane's team. He reached the first live show stage. RTBF is expected to make official announcement shortly. Representative of Austria at the Eurovison 2019 will be chosen this week. In the final of the internal preselection are considered three entries, updated ORF selection consultant Eberhard Forscher in AUSTROZONE project video. Monika Marija decided to compete in Lithuanian national preselection with two songs: Criminal and Light On. The song "Light on" is very important in the artist's life. She has admitted openly that this work describes one of the most painful events of her life when she was faced with a huge life threat. The song has been a great success and a positive evaluation from the audience, so the artist together with the ELITAZ MUSIC team decided to present two songs for the Eurovision selection. "When we picked a song for the Eurovision, I felt that my heart was leaning toward Criminal. However, it is difficult to make such a decision until you have the song on the stage, until it is live. After the album presentation concerts, I felt great support and desire to hear Light On on the Eurovision stage, and I put my listeners always in the first place, "says Monika Marija. "Both songs are just as important for me because there is a strong story behind music that has changed my life. The essential differences between these works are in their style, genre. Also, the story of one song is about what happened to me, and other song is about what I did to another person, "says the performer. Sasha Song in duet with Dovile and the song "Bad Boy", brother of Eglė Jakštytė Linas Jakštys with "Criminal Love" as well as former X Factor contestants 120 managed by Saulius Urbonavicius-Samas have been also added to the line-up, replacing another X Factor act Algirdas Daumantas Ciūnys. Singer Daryana on Instagram: "21 January at a press conference in San Marino, it will be announced which international artists will represent San Marino at the EUROVISION 2019 competition in Israel: the singer Dariana (Russia) or Rodrigo Alves (Great Britain) @daryana_singer @chelyshevoleg #singer #певица #певицадарьяна #daryana_singer #model #actress #produser #олегчелышев #продюсер #москва #санмарино #sanmarino #wait #result #evrovision #mydreams #dreams #russia #italy #daryana"
SMTV San Marino issues statement that it will not confirm or deny any statements until 21 January, the date of the press-conference. 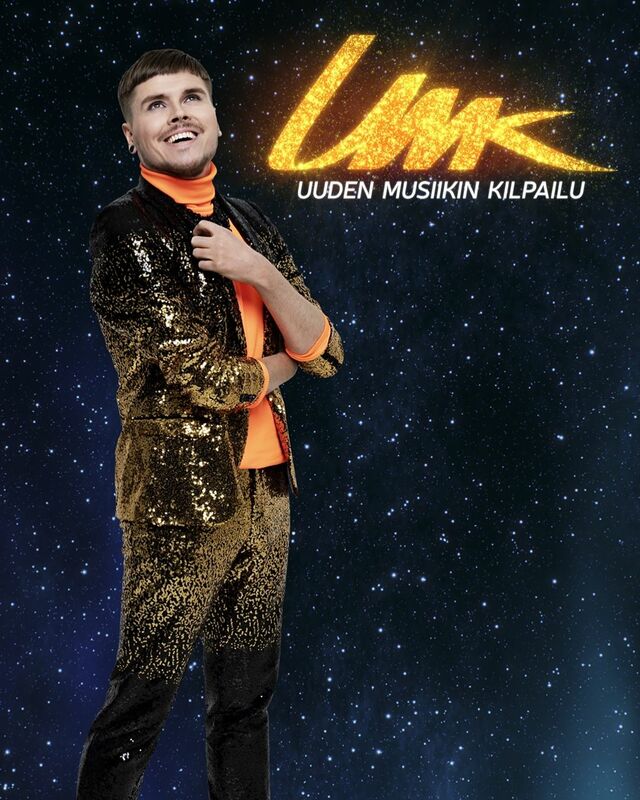 Finnish broadcaster YLE has revealed its new official UMK blogger, who will be responsible for the accounts of the show in the social networks reporting most exciting backstage news - 27 years old Eino Nurmisto, better known as "Gay Boy of this Village". Organizers of Georgian Idol Sakartvelos Varskvlavi have revealed that the third show which will be broadcasted this Saturday will aim to select 10 finalists of the project. Pop Idol is a format owned by Fremantle Media and Nova Productions is official license holder for the show in Georgia. Each selection phase is determined according to the officially established format of the international project. At the first stage of the competition, the jury give positive or negative assessment when listening to the participants. Positive assessment is expressed by "Golden ticket". At the first stage, the jury has no limitation - it can give as much "Golden tickets" as they like. At the first stage of the "Star of Georgia" jury has given positive assessment of 48 contestants. After completing the first stage of the casting, the jury once again evaluated the owners of "Golden tickets". In accordance with the rules of the format and the participants' musical capabilities, the jury selects the contestants who have moved to the second stage. Accordingly, the jury of the "Star of Georgia" has selected 22 contestants from among 48 "Golden ticket" holder to proceed to the second stage of the casting where the final ten will be determined. The second stage of "Star of Georgia" will be aired on Saturday, 22:00 local time on the First Channel of GPB. | OG Group which recently won the tender for the production of the postcards of the Eurovision 2019, has waived it's victory. At the signing the contract it became clear that company wants to make some changes. Due to the lack of time and since the conditions were part of the tender, KAN disagreed, and OG decided to give up. Thus postcards production will be entrusted to Gustavo Productions. Globes reports that the idea of postcards is "to connect the participant to the host country filming him against the backdrop of the country's landscapes. The length of each clip is approximately 40 seconds. In addition, a 5 minute clip will be produced featuring all the singers taking part in the Eurovision Song Contest. The tender for the production of the postcards, in a financial volume of NIS 3.2 million, was released two and a half months ago, and five production houses competed for it . Gustavo Productions specializes in television commercials and works with most of the major advertising agencies and with many of the major advertisers, such as beverages company CBC Group, lottery Mifal HaPayis. mobile operator Partner, Isracard and others. Katerine Duska has agreed on the conditions with ERT and will become Greek representative at the Eurovision 2019, report Star TV, EurovisionFun, INFE Cyprus and various Greek media. Earlier this week, Dimitris Papadimitriou, who is the chairman of the ERT Committee for the Eurovision 2019 project, has undertaken decision to make the relevant proposal to the director of MINOS EMI, Margarita Matsa, and also to the artist herself. Other considered names included Marietta Fafouti, and Elena Tsagrinou. The deal reportedly is different from two previous years, when ERT only covered the EBU's participation fee and all the other expenses (airline, hotels, cost of stage performance, etc.) were covered by the artist's music label or were coming from sponsors , this time the Greek public television will be be paying itself. It is believed the final deal was reached a little while ago and Duska will write the song herself, which will be presented in due course. Katerine Duska is a Greek-Canadian singer/songwriter currently based in Athens. Her acclaimed debut album 'Embodiment' was released in 2016 by Minos EMI/ Universal Records and in 2018, her single 'Fire Away' was selected for the official "Nescafe Canada" television ad campaign. Her musical style channels the dark sonic timbres of Lykke Li and Jessie Ware and her trademark soulful rasp has earned her comparisons to Amy Winehouse. Katerine rose to indie star status with her hit song "One in a Million" and her cover of Arctic Monkeys' "Do I wanna know", reaching over 2 million views on Youtube. She has since then collaborated and shared the stage with LP, Albin Lee Meldau, Tom Baxter, Yasmine Hamdan, Oddisee, Kadebostany and has performed in prestigious venues and festivals across Europe such as The O2 Academy, Rockwave Festival, SNFCC, Megaron Concert Hall and Sofarsounds /Amnesty International's global festival "Give a home". Latvian preselection show Supernova this year will be made of two semifinals on 26 January and 2 February and final on 16 February. Dagmara Legante and Ketija Šēnberga. Eight acts will compete in each semifinal with four best proceeding to the finals. The winner of the Supernova 2019 competition will receive an opportunity to represent Latvia in the international Eurovision Song Contest in Tel Aviv, Israel, as well as the opportunity to conclude an agreement with one of the region's leading music publishers Universal Music Group, which can help popularize the winning song outside Latvia. "Supernova can open the door to Latvian musicians - 200 million spectators watch the Eurovision on average across Europe and the world. I am delighted that every year more and more qualitative songs are applied for the contest and that there are authors, producers and performers in Latvia who dare to conquer the bigger music market and are brave enough to realize it in this competition, "says Supernovas 2019 producer Ilze Jansone. 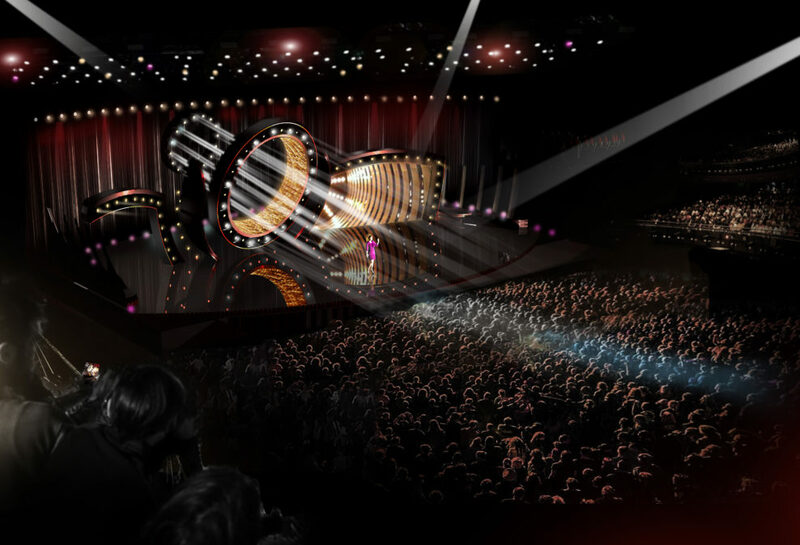 Both semi-finals and finals will be judged by a jury, but the audience will also play a big role. In this "Supernova" season, only one SMS can be sent from one phone number and only one call is made by telephone voting. One will also be able to vote on the Supernova website , and for the third year in a row, the number of Spotify streams will also be taken into account. Anyone interested will be able to watch all "Supernova 2019" shows live on spot. Tickets will soon be available at "E-kase.lv". Group Xtreme was last in the televoting in the 2nd live show of the X Factor Malta. In the Sing-Off competed last group 4th Line and Ben Purplle. Jury voting ended in a deadlock, and viewers decided to keep Ben in the competition, meaning Alexandra Alden was left without acts in her category. Loosing acts will still have a chance to get wildcard to proceed, out of 20 acts entering 3rd stage, 12 will proceed further. "Dreams do come true !! With hard work, dedication, respect to one another and love we all can achieve our dreams ! #eurovision #rodrigoalves #sanmarino"
Recall, that official revelation of San Marino act is expected on 21 January. San Additional information: Marino page. "First of all, let us clarify that all the "most likely participants from Russia" mentioned in the media (Philipp Kirkorov, Sergey Lazarev, Olga Buzova, Elena Temnikova, Egor Kreed, and others) are just a retelling of the private opinions of users of social networks. And in reality there is no short list there yet. Yes, there is an artist who has more chances to represent Russia in Tel Aviv. And there is one more. Although, it is also possible that the band will go to the Eurovision," told source in VGTRK to the Rossiyskaya Gazeta. "But at the moment there is no contender who has a clear advantage. Everything will become definite towards the end of January, especially since most artists after holidays and corporate parties are on vacations. And the decision on the participant requires presence in Russia. We are not yet able to say how the selection will be made exactly. In any case, the professionals who know both the domestic scene and the trends of the modern music will be making the choice"
Videos from the show are available on Youtube. "Following a full evaluation of the Eurovision Romania 2019 Contest, organized by TVR, I decided to withdraw from the competition. Eurovision is the contest that gave me the aura of artist in 2006, when I won for Romania the highest score in history and a resounding success with Tornero in over 35 countries. This motivated me during my artist career and showed me that the dream can be fulfilled if you are willing to work for it. I am a competitive artist and I have demonstrated this by facts. Because at this moment, I do not trust the objectivity of Eurovision Romania organizers, given the unclear situation, from the start, regarding the registered competitors - those who passed the preselections and those who were later favored - I decided to withdraw. I can not go on a journey that has many "mysteries". Thanks to the fans who have always supported me and who are with me and my music and promise them that for me, Eurovision remains a story ... without end!" 14 contestants made their appearance in today's episode of Georgian Idol Sakartvelos Varskvlavi, among them Candy member Irina Khechanovi, transgender singer Anastasia Pirveli, lookalike of Marilyn Monroe, participants of Ukrainian The Voice Oto Nemsadze, Ukrainian X Factor Besik Nemsadze and Dima Kobeshavidze, Georgian X Factor Liza Mebonia and Liza Kalandadze. All videos of the episode can be found at Youtube. Name of the artist, who will represent Russia at the Eurovision Song Contest 2019 will be announced at the end of January. There are no shortlists of the potential candidates, informed participating broadcaster VGTRK (Russia 1) news agency RIA Novosti. "There is no shortlist, and unlikely there will ever be. We will name the artist in the end of January", told the source in the broadcaster. TVR has decided on two wildcards to the national Romanian Eurovision preselection: "Army of love," performed by Bella Santiago and "Renegades", performed by Linda Teodosiu. The new entries that organizers received until January 10 at 22.00, were evaluated by the same jury, based on the same criteria for selection, both administrative and artistic. Enabling clause of the regulations giving TVR a right to enter one wildcard song to each of the shows, organizers try to bring added value to the national selection, thus enhancing the chances of Romania to the international stage. Final of the Latvian preselection show Supernova will take place on 16 February, confirmed Latvian broadcaster on Twitter. First show will be aired on 26 January at 21:25 local time (20:25 CET). LTV has released trailer of the project. It seems that the show returns to previous format with two quaterfinals (26 January and 2 February), one semifinal (9 February) and final (16 February). Serbian preselection Beovizija will be held in three competitive nights this year. Semifinals of the show will take place on 27 and 28 February, and final on 3 March. Show will be broadcasted live on RTS1 and RTS Planeta from RTS Studio 8 and 9. Participating entries will be revealed on RTS multimedia platforms and Youtube channel during February, and the performers will have the opportunity to present their songs through Jutarnji program of RTS and the show "Sarenica". Israeli songwriter, composer, and artistic director, winning songwriter of the Eurovision Song Contest 2018 Doron Medalie will become member of the expert panel of Eurovision Gala of Operación Triunfo. He will be joined by Spanish Eurovision 2012 representative Pastora Soler, Spanish Eurovision commentator Tony Aguilar and executive of Universal Music Spain Manuel Martos. The panel will comment on the performances, but will not have voting power. As we have reported earlier, final show will be aired on 20 January at 22:05 CET. On 17 January at 15:00 CET participating songs will be presented on RTVE portal in their final versions, which are being recorded today in the Operación Triunfo. From 18 January they will become available on all major digital platforms. Special guest act of the show will be Eleni Foureira, who has already performed on the Spanish TV during the New Year Gala. Jacques Houdek has revealed that his Dora entry will be performed by 18-years old Roko Blažević, who was member of Jacques' team in RTL's "Zvijezda" contest. The song called 'The Dream', which is a strategic move to this year's official slogan 'Dare to Dream', which in itself is a line from Jacques' own entry "My Friend". Eurosong.hr reports that around 150 songs were submitted for Dora participation. The jury will convene in the beginning on the next week and should finish selection by its end. Entries of Dora will be for the first time presented only during the show on 16 February. Croatian press reports that entries have been submitted by Damir Kedžo, Gelato Sisters (with Neda Parmać, who twice performed at the Eurovision with Feminnem), Lidija Bačić, Mila Elegović, Nikita Ivošević with song "Winner", Kim Verson, Teška industrija, Četiri tenora, Marko Zekanović, Patricija Gašparini. Some of the earlier rumoured names like Indira Levak or Maja Šuput did not submit entries. 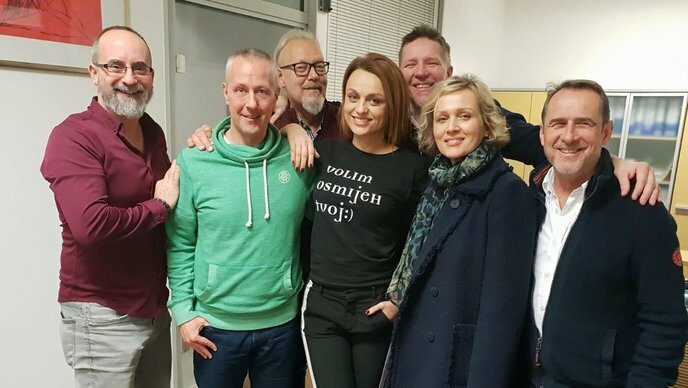 One of the most prominent local authors and leader of Colonia Boris Đurđević confirmed that he submitted the song performed by 18 year old Meri Andraković from Osijek, who four years ago was finalist of RTL's "Zvijezda". Goran Topolovac (composer of "Mižerja") submitted a "strong Eurovision ballad" in English performed by a female singer. British preselection Eurovision: You Decide will broadcast live on Friday 8th February 2019 from Media City UK in Salford. Tickets for the event will be allocated via a ballot at Lostintv.com. Age restriction is 16 and over. Under 18s must be accompanied by an adult. Doors open 4.45pm. The show will be broadcast on BBC Two and on BBC iPlayer from 7.30pm to 9pm. Publication Super.ru, which regularly covers Russia's participation in the Eurovision Song Contest, today, with reference to its sources, has published a short list of candidates for the right to represent the country at Eurovision 2019, which is allegedly under consideration of the Russia 1 broadcaster. It includes Philip Kirkorov, Alexander Panayotov, Sergey Lazarev, Manizha, Olga Buzova, as well as Yegor Kreed and Lena Temnikova. Details are available on the site of the publication. It should be noted that the author of the article, journalist Alena Zhigalova, was tagged a few days ago in a photo in one of the social networks in the company of the singer Manizha and her manager Maya Serikova. Interestingly, Super did not include in its list such artists as Valeria, Nyusha, Ani Lorak and Estonian performer Uku Suviste, whose names also regularly appear in the context of Eurovision. It is worth noting that the last two artists take part in the Channel One's project "The Voice", but Channel One has recently repeatedly sent artists associated with "Russia 1" to the competition - Alexey Vorobiov, Yulia Samoylova, and negotiated with Buranovskie Babushki in its time. In particular, Suviste collaborated very closely with Philip Kirkorov's Dream Team on their last visit to Moscow, according to some information, taking part in recording of a demo version of one of the potential entries of Russia. Official information about who will represent Russia at the Eurovision Song Contest 2019 is expected in the coming weeks. Broadcasts of the second stage of the Israeli preselection Hakokhav Haba are over. 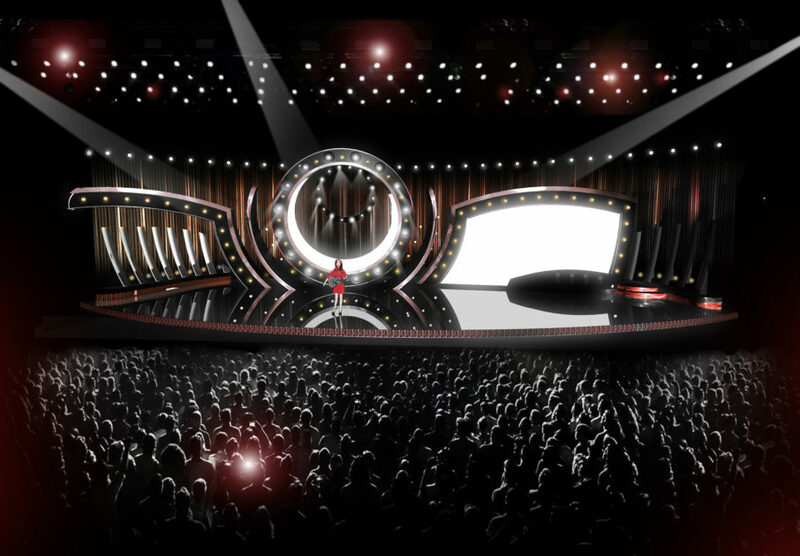 Performances of 40 acts out of 68 qualified to this stage were shown. 20 best of them will compete in the third stage of the show. NDR has published transcript of online-conference with participation of Christoph Pellander and Thomas Schreiber that took place on 8 January. ARD Entertainment coordinator explained that preselection show has been moved to Friday to avoid clash with other shows that include televoting (Next Topmodel and DSDS). At the moment, a broadcast of 120 minutes is planned. Each song will be heard once and then voted on. There will be two or three interval acts. Michael Schulte will be involved, but may be in a different role. Subsequently, the results of two juries and the audience vote will be announced. Line-ups of jury panels will be revealed on the broadcast day. International jury is made mostly of people who were in the national juries recently and were close in voting for the favourites of the show. It is desired to have 20 international jury members from 20 different countries with a broad mix of ages. Tickets are on sale as of 10 January for 39 Euros and there are 800 seats in the hall. Participating songs will be released only on the day of the preselection, which is done to avoid any radio or other promotions and give equal starting field to all acts. "There is no hip-hop, no rap and no country. There are very nice ballads and up-tempo numbers. Musically, the bandwidth is more localized in the field of pop, but none of them can be called mainstream. All of them have a message. There are also dramatic numbers and at least one song, where I can imagine tears", explained Schreiber. The running order for the show will be determined after the individual rehearsals take place. The staging of acts will be done by the same team which worked on ESC in Dusseldorf and was involved in staging of Michael Schulte's entry. Artists were asked to send their staging proposals as well. Show will be directed by Ladislaus Kiraly, stage design by Florian Wieder, lighting designer Jerry Appelt and producer Matthias Alberti. Compared to the angled stage in Tel Aviv, stage of German show will be more square and the audience will sit around it. LED panels will also be used and there may be a little surprise on the wall, which can be used in Israel as well. NDR is in extensive talks with radio stations to promote German entry prior to the international final in Tel Aviv. It is possible, that chosen artist will do a radio tour through Germany stations. The goal of the delegation is to get a top 10 finish in Tel Aviv. Tomorrow, at 12:00 CET, Christer Björkman and Karin Gunnarsson will reveal the starting order of the semifinals of Swedish Melodifestivalen, as well as explain their decision during live Facebook and Instagram broadasts. Popular Israeli singer Omer Adam, who was approached to perform as the interval act in the Eurovision 2019, eventually will not be making the appearance. Ofer Adam, public relations manager of Omer Adam, stated: "Omer Adam has received an offer to participate in the Eurovision 2019. After a meeting between the parties, and in view of the fact that the dress rehearsals should take place during the Sabbath, Omer decided not to take part in the event". Greek broadcaster ERT has revealed line-up of the working group on the selection of the entry for the Eurovision Song Contest 2019 in Tel Aviv. It includes: Chairman Dimitris Papadimitriou (composer, member of ERT board), Petros Adam (music producer), Fotis Apergis (journalist), Giannis Petridis (music producer), Maria Koufopoulou (director of international relations of ERT), Sofia Dranidou (Head of Directorate for International Affairs). It was earlier decided that ERT will choose its Eurovision entry internally, first selecting the singer and then the song based on the artist and his type of music. Members of the committee will have the opportunity to nominate artists, who will then be approached for futher discussions. First name discussed by the committee according to Eurovisionfun was 38-years old singer Marietta Fafouti. Marietta's name was around the Eurovision media since 2016, as she was amongst the artists ERT approached before announcing ARGO as the representatives of Greece. Marietta Fafouti belongs to the music label of Feelgood Records. It was reported earlier that MINOS EMI (2015) and PANIK (2013, 2014, 2017, 2018) have decided not to take part in the Greek Eurovision Song Contest 2019. Even though Marietta is the first artist ERT will approach, there were other artists proposed by the committee. Beside the artists, the team proposed a very well-known female composer. According to Yannis Poulopoulos of the STAR Channel another name added to the consideration is of Greek/Canadian singer Katerine Duska. Reportedly, this time ERT is searching for a pop song with the European sound, with foreign lyrics, unlike the style that was requested last year. List of earlier mentioned by various sources names includes: Kalomira, Shaya, Vangelis Kakouriotis, Nikos Ganos, Elena Tsagrinou, Kostas Ageris. 24 acts will compete in Serbian preselection Beovizija 2019. Application deadline has passed on November 15, and on November 23, all parcels that arrived at the Radio Television of Serbia were opened. 76 participants applied for the contest, and the selection committee made by RTS music editors listened to all the tracks received. All works were signed by the code, so the author's names were unknown. After the selection of compositions by the selection committee, the discovery of the identity of the author of music and lyrics was made. The final selection process was performed on January 8, 2019 and resulted in 24 compositions chosen. 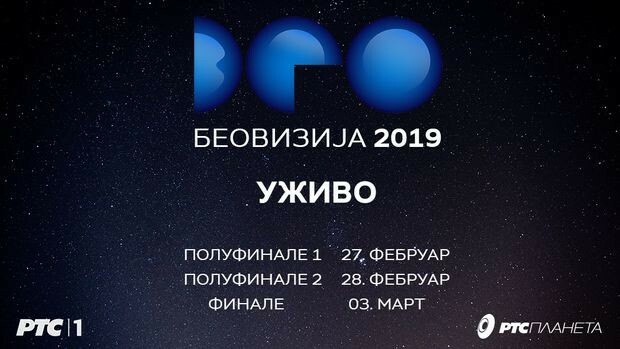 The selected songs will be competing at Beovizija 2019, which will be held in late February 2019. Erica Jennings returns to the Eurovision. Participant of Eurovision 2001 has presented her contest entry "Sing! ", which she will be performing with her husband Jurgis Did (Jurgis Didžiulis, participant of Eurovision 2010). "Sing!" is about the power of song. We human beings have sung throughout the ages, given half a chance, whenever we gather. It's the very essence of who we are. Through song we heal, play, love, share stories, our deepest feelings and often songs keep our most precious, or perhaps most painful memories. If you know it's right, you must follow your heart and be true to yourself. I have the best possible partner for this crazy journey.. the love of my life. And a great team backing us. As a starter, here's a little live video", wrote the performer. Recall that Jennings has withdrawn from the national preselection last year stating: "I simply don't want to jump through all those hoops again. I am an established singer. I've been to eurovision already, with my own song and we did pretty well as I recall. And so the idea of having to, once again, be in that almost "school girl" position of having to stand there, listening to a commission, after performing my heart out is simply cringeworthy. And with all due respect, most of them are less experienced than me in these particular topics of Eurovision, singing and songwriting". Host broadcaster KAN has chosen production company on a tender with total cost of NIS 50 mln. The company that will produce the Eurovision Song Contest in Tel Aviv is the Promarket Group. Five companies competed in the tender and it was decided on Thursday that the winning company is the Promarket Group. The group includes the producer Yoni Saar, who will be responsible for the events. Shaul Magnezi, the deputy CEO of Reshet, will serve as the broadcast manager. Magnezi is expected to leave his position after the merger of Reshet and Channel Ten. Daniel Lankry, who owns Mizmor HD Productions, owner of studios and broadcast vehicles, will become the TV producer of the Eurovision Song Contest in Israel. With extensive experience born of a successful career in media, Yoni Saar has developed Promarket into the largest experiential marketing company in Israel. He serves also as professional executive, creative advisor and business developer for the company. In addition, he writes columns on marketing for the general media, serves as guest lecturer at leading academic institutions, and acts as marketing advisor for various companies in Israel. Mizmor HD was established in 1992. The company has steadily grown sonce, and has manage to accumulate a large number of steady and satisfied client pool. Through the years MVP was involved in various kinds of productions, which required skills and creativity, and turned it to an experienced and most professional in the filed of productions and broadcasting using OB trucks. MVP is the largest OB truck company in Israel and the only company with HD OB truck with up to 14 cameras. The production company is supposed to assist the producers of the Eurovision Song Contest in the production of the television and related events. The tender was conducted by the Eurovision headquarters of the Public Broadcasting Corporation KAN, which includes Zivit Davidovich, Yuval Cohen, Meital Cohen, Tali Eshkoli and Kobi Nussbaum. On January 22, the traditional draw will take place, which will determine the order of the contestants performances in the semifinals. 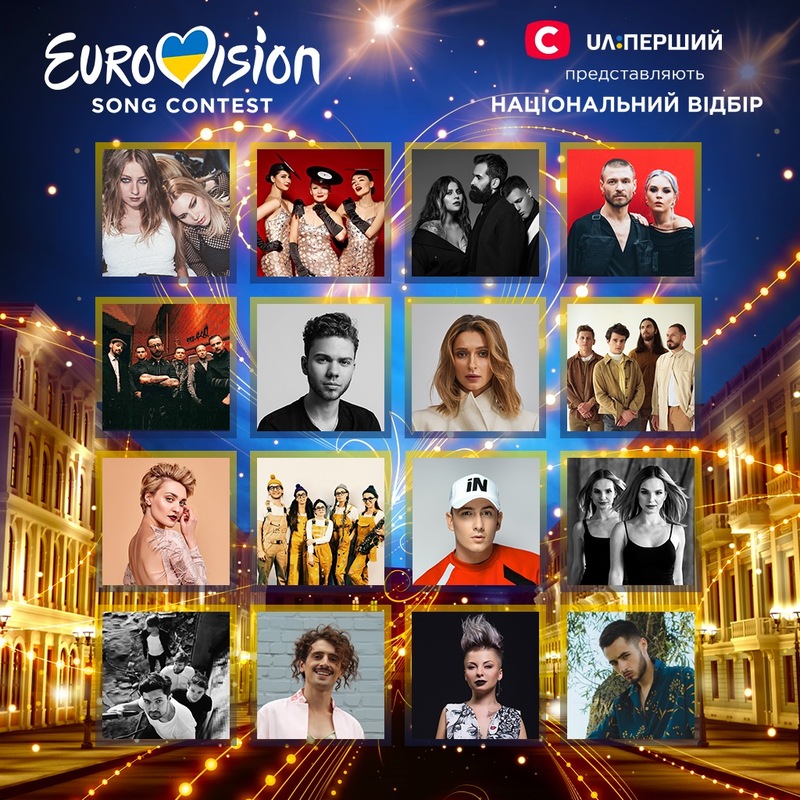 Recall that the live broadcast of the National Selection 2019 will be held on 9, 16 (semi-finals) and 23 February (final) simultaneously on the TV channels STB and UA:Pershiy. Municipality of Tel Aviv has launched a tender for a tent city that will serve visitors of Eurovision and Gay Pride. As reported previously, camping will be located in Ganei Yehoshua Park near the Tel Aviv Expo, will operate for a period of two months and will provide accommodation at varying prices from 100 to 1000 NIS/day (25 to 250 EUR) for about 2,000 guests. Various levels of hospitality will be offered - starting from simple small tents to rent (double tent at 250 NIS) to luxury so-called Glamping tents (glamourour camping) (100 NIS per bed) to caravan complex places which will be fully equipped and air-conditioned with shower and toilet (1000 NIS per night). It will also offer a recreation area, food and beverage complexes, a bicycle rental and shuttle service to the Eurovision venues. "The Tel Aviv-Jaffa municipality is mobilized to produce a great Eurovision and beyond that is working on creating an extraordinary experience for the tourists who will come to the city," says Mayor Ron Huldai. "The tent city is just one of the many initiatives we are planning for the Eurovision Song Contest." Tourism Minister Yariv Levin also joined the celebration: "The Ministry of Tourism is working to increase the range of accommodation options in Israel, and the camping sites provide an affordable price for everyone, especially during periods of important events such as the Eurovision Song Contest." The neighbor from the south, Rishon Lezion, wants to receive a slice of the extensive economic activity on behalf of the tourists who will come to celebrate and enjoy the Eurovision in Israel. In the coming weeks, the Rishon Lezion Municipality is expected to publish a tender for the construction of a tent city and caravans in its area. The complex is expected to be built on the beachfront promenade, covering an area of ​​about 6000 sq.m. In addition, the possibility of opening a bus line from the tent city to the competition hall in Tel Aviv is being examined. Elton John or Coldplay: Israel is in search for the international star to perform during Eurovision final. Alongside performances by Israeli artists such as Netta Barzilai, Dana International and Omer Adam, the Israeli production is trying to recruit an international act, which will appear in the final broadcast, and Keshet program "Chay balaylah" says Elton John and Coldplay are among the options. Among other things, program reports that main show hosts Bar Refaeli and Erez Tal are expected to earn over 100,000 NIS (25,000 EUR) for the job each. Despite indictment for tax offence, it is reported that Bar Refaeli is still prime candidate to get the job, as organizers are first of all guided by the professional qualities. The line-up for "Unser Lied für Israel" is complete: Carlotta Truman and Laura Kästel will compete under the name of "Sisters" joining six previously announced acts: Aly Ryan, BB Thomaz, Linus Bruhn, Gregor Hägele, Lilly Among Clouds and Makeda. Four of the songs were written in the five-day songwriting camp, in which 24 national and international songwriters, composers and producers developed songs for the ESC together with the first six participants. The song for the Sisters was composed by an international team specifically for the ESC and offered to the NDR. Like the other entries it was chosen since the 100 members of a Eurovision jury and a 20-member international expert jury rated it very positively. As a result, the NDR has found performers for it based on applications and recommendations from music experts. The show will be broadcast from Berlin on Friday, February 22, at 20:15 on Das Erste and DW. Presenters are Barbara Schöneberger and Linda Zervakis, commentator - Peter Urban. Ticket sales for the show will start on 10th January, the tickets for the price of 39 Euros will be available at www.tvtickets.de. Thomas Schreiber, ARD entertainment coordinator says: "Seven strong, very individual acts with their own, very special Eurovision songs, but only one song can get to Tel Aviv - Our song for Israel! After Michael Schulte's great "You Let Me Walk Alone" and his fourth place finish in Lisbon, it is our motivation to return to the top ten at ESC 2019." 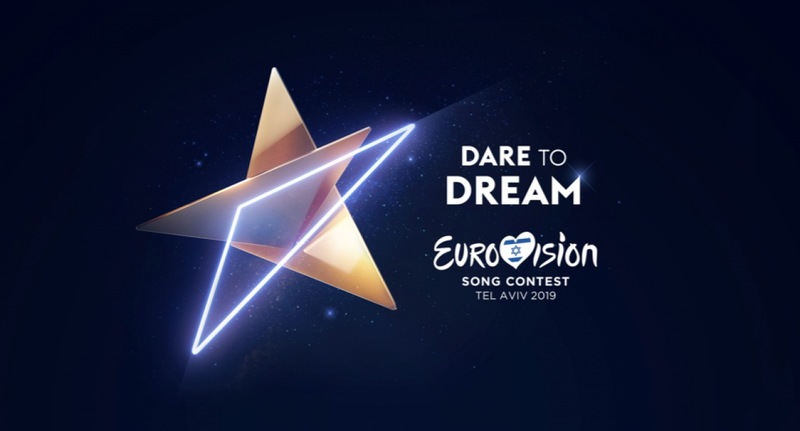 Inspired by the Eurovision 2019 event slogan, Dare to Dream, the EBU and Israeli Host Broadcaster KAN are delighted to unveil this year's artwork; three triangles which, when united, shine together to create a golden star. Revealing the concept behind the logo, Israeli Host Broadcaster KAN said: "The triangle, one of the world's oldest shapes, is a cornerstone symbol found universally in art, music, cosmology and nature, representing connection and creativity. As the triangles join and combine, they become a new single entity reflecting the infinite stellar sky, as the stars of the future come together in Tel Aviv for the 2019 Eurovision Song Contest, explained upon revealing the icon. This year's logo takes inspiration from Florian Wieder's stage design, whose concept uses triangular shapes and structures. The slogan and logo have been created by two leading Israeli branding agencies; Awesome Tel Aviv who developed the creative concept, and Studio Adam Feinberg (ST/AF) who created the logo. Apart from the main icon, two alternative versions have been designed. The primary logo colour is the blue version and will be used in most cases. All logos will be used in a variety of ways running up to the two Semi-Finals and the Grand Final, including being displayed throughout the city of Tel Aviv in May. 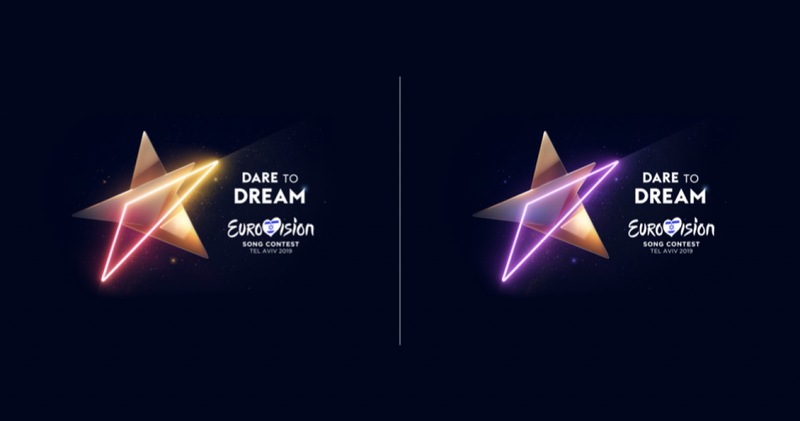 Jon Ola Sand, the EBU's Executive Supervisor of the Eurovision Song Contest, said: "We are delighted with the logo accompanying KAN's slogan for the 2019 Eurovision Song Contest - Dare to Dream – which perfectly complements the fantastic angular stage design created by Florian Wieder. We hope the creative theme for this year's competition inspires the 42 contestants coming together in Tel Aviv in May, as they dream of becoming the stars of the future"
"Это очень, очень хорошая заявка. И довольно неожиданная. Скажу так, я в восторге от артиста и песни, которую мы представим! И я верю в то, что у нее большие шансы на очень высокое место". Мики Нуньес отправляется в Израиль защищать цвета Испании с песней La Venda, которую написал гитарист группы La Pegatina Адриа Салас. Он набрал 34% голосов телезрителей. Напомним, что Мики не вышел в финал сезона Operación Triunfo 2018, заняв в нем шестое место. В предварительном онлайн-голосовании La Venda была только пятой. Мария счастливо отделалась от поездки в Тель-Авив, заняв второе место с 22% голосов, а третьим стал дуэт Мики и Наталии (14%). Победитель сезона Фэймос только седьмой с 5% голосов. На Мальте прошло третье прямоэфирное шоу X Factor. В первой его части два последних места заняли и покинули шоу Бен Пёрплл и Келси Белланте. Во втором этапе последним стал Норберт Бондин, а в битве за жизнь сразились Люк Чаппелл и Оуэн Леуллен, голоса жюри разделились, а публика спасла Оуэна. Таким образом, в финал шоу вышли четыре участника: Микела Пач, Петра, Николь Френдо и Оуэн Леуллен. Финал состоится в субботу, 26 января. Восемь из одиннадцати оставшихся участников Hakokhav Haba выступили сегодня в 25м шоу, и пока Ошер Битон имеет наименьший процент голосов, а значит является кандидатом на вылет. Оставшиеся три конкурсанта выступят завтра. Певец Khayat рассказал в интервью ESCKAZ о своей авторской песне Ever, презентация которой пройдет 31 января. Песня в жанре электро-фолк будет исполняться на двух языках, английском и украинском. Номер артист готовит вместе с Севин Диевой. 21:00 Москвы, Грузия, Sakartvelos Varskvlavi, 3 шоу, онлайн. Определены финалисты: Mariam Kakhelishvili, Ikako Aleksidze, Dima Kobeshavidze, Liza Kalandadze, Nini Tsnobiladze, Giorgi Pruidze, Giorgi Nakashidze, Beso Nemsadze, Oto Nemsadze, Tamar Lachkhepiani. Запись эфира доступна здесь. 21:30 Москвы, Венгрия, A Dal, 1 четвертьфинал, онлайн. В полуфинал вышли Gergő Oláh, Gergő Szekér, Timi Antal feat. Gergő Demko, Konyha, Nomad по решению жюри и DENIZ по решению зрителей. Запись эфира доступна здесь. 22:00 Москвы, Литва, 2 шоу, онлайн. В следующий этап вышли: Edgaras Lubys, Emilija Gogolytė, Junà, Lukas Bartaška, Original Copy, Paola Hart. Запись шоу доступна здесь. 22:15 Москвы, Израиль, Hakokhav Haba, 24 шоу, онлайн. Клара Сабаг покидает шоу. Отдельные видео с шоу доступны здесь. 23:00 Москвы, Франция, Destination Eurovision, 2 полуфинал, онлайн. В финал вышли: Seemone, Emmanuel Moire, The Divaz, Doutson. ESCKAZ пообщался с участником украинского отбора Иваном НАВИ, который исполнит на конкурсе песню All For The Love (музыка Иван НАВИ, слова Нана Ковалева, аранжировка Андрей Лемишка). Песня, о любви ко всему вокруг, была написана спонтанно в солнечный декабрьский день. В песне есть налет госпела, потому и номер будет в таком стиле, с беками, но без чего-то сверхъестественного, потому что артист считает важнее передать со сцены настроение песни. Система голосования в шведском отборе Мелодифестивален 2019 будет подвергнута значительным изменениям. Как в старые времена бывало с жюри. в этом году все зрители будут поделены в группы по возрасту. Каждая из этих возрастных групп будет считаться отдельным жюри, которое будет голосовать по классической схеме, дав своему фавориту 12 баллов. Все возрастные группы будут обладать равным количеством баллов. Помимо семи возрастных групп, телефонное голосование будет считаться восьмой группой. При этом голосование по СМС будет отменено. Для того, чтобы создать баланс восьми группам зрителей, в финале голосовать также будут восемь международных жюри, и в этом году проценты не будут использоваться. В полуфиналах каждая группа раздаст 43 балла по шкале 12, 10, 8, 6, 4, 2, 1 и 58 в финале по шкале 12, 10, 8, 7, 6, 5, 4, 3, 2, 1. В раунде Второй Шанс, каждая группа будет обладать 1 голосом, и если поединок закончится со счетом 4-4, то будет считаться общее количество поданных голосов. Хотя изменения кажутся значительными, они бы не повлияли на результаты ни одного из полуфиналов в прошлом году. Новая система не будет задействована в драматургии шоу, но для полной открытости после финала будут выпущены полные результаты голосования по всем группам. Кроме того, сердце на экране изменит свое поведение. Оно будет просто биться, и вообще будет вести себя потише. Так будет сложнее определить результаты голосования, следя за его поведением. Также, сердце будет менять свой цвет, основываясь на голосовании тех возрастных групп, которые в данный конкретный момент будут вовлечены в голосование больше всего. По меньшей мере три цвета будут показаны одновременно. Голосующим через приложение теперь надо будет указать свой возраст, но по прежнему в их распоряжении будет до пяти голосов-сердец на каждую песню. Многие предполагали, что с введением голосования через мобильное приложение, преимущество получили молодые зрители, которые и выбирали своих фаворитов, но на самом деле, обычно разница между голосованием в различных возрастных категориях была очень мала. 28 заявок поступило на право представить Молдову на конкурсе Евровидение 2019. Сообщается, что среди них есть как опытные артисты, так и молодежь, которая хочет получить свой первый опыт выступления на большой сцене. В понедельник, 21 января, члены организационного комитета шоу проведут заседание, чтобы удостовериться, что все поданные заявки соответствуют правилам конкурса. Также в понедельник будет принято решение о дате живого прослушивания, когда жюри, состоящее из профессионалов в области музыки, оценит вокальное выступление конкурсантов. Мария и Наталия призывают фанатов голосовать за песню La venda Мики. В момент своего прибытия в Барселону, перед лицом группы фанатов, они не только со смехом напели песню своего "конкурента" Мики, но и прямо призвали голосовать за него. Видео этого момента было опубликовано в Твиттер аккаунте _paulannister. Мария и Наталия - два наиболее безразличных конкурсанта к возможности представить свою страну на конкурсе Евровидение. Во время мастер-класса Евровидения, который подопечным Operación Triunfo 2018 организовал телеканал RTVE, певицы демонстрировали полную апатию. "Речь не о фестивале, сам по себе он хорошая возможность. Есть другие вещи, которые не имеют отношения к музыке. Если бы он проходил в Амстердаме... это все, что я могу сказать", высказалась Альба Рече, которая не выступит в финале отбора на Евровидение. С ней согласилась и Наталия: "Отношение было бы более открытым, если бы конкурс проходил в другом месте". Их поддержала и Мария, заявившая, что выбор места проведения конкурса в этом году действительно неудачный. К этому можно добавить нулевое продвижение ими своих песен в социальных сетях, несмотря на то, что они были написаны известными профессионалами музыкальной индустрии: Давидом и Хуаном из группы El Sueño de Morfeo (Muérdeme), Андре Пересом и Мерче (La clave). Певицы только лишь поблагодарили авторов за их работу в день презентации песен, и опубликовали вчера вышедшие финальные версии. Презентация песен, участвующих в британском отборе Eurovision: You Decide пройдет в среду 23 января в 13.00 Москвы на сайте BBC и в эфире программы Кена Брюса на BBC Radio 2. Вечером в тот же день пройдет презентация участников прессе. Лаура Бретан перемещена во 2й полуфинал национального румынского отбора, который пройдет в Араде 10 февраля. "Перенос даты полуфинала в Араде, запланированного на 20 января, позволил организатором вернутся к оригинальному плану. Мы благодарим Лауру за согласие реорганизовать свою программу", говорится в заявлении телеканала. Таким образом, если больше переносов проведено не будет, то в первом полуфинале выступят 11, а во втором - 13 песен. Музыкальный обозреватель голландской программы Shownieuws Коос ван Платеринген: песня для Евровидения 2019 выбрана, это танцевальный номер, и сейчас ей подбирается исполнитель. Возможно, что песня была подготовлена одним из известных диджеев, в частности в программе прозвучало имя Армина ван Бюрена. SBS и его продакшн партнер Blink TV сегодня объявили имена трех последних участников, которые выступят на первом в истории национальном отборочном шоу Eurovision - Australia Decides 9 февраля. В их число вошли икона рок-музыки Элла Хупер, известная и любимая своим дебютом в рок-поп-группе Killing Heidi, настоящая легенда австралийской эстрады Таня Доко, наиболее известная своим успехом в удостоенном наград ARIA поп-дуэте Bachelor Girl, и победитель шоу Голос Алфи Аркури. Алфи Аркури говорит: "Для меня большая честь участвовать в конкурсе, который восхищает музыкой и разнообразием... принимать участие в этом путешествии вместе с такими удивительными австралийскими талантами - действительно невероятно! В первом выпуске всегда есть что-то особенное - пугающее, но захватывающее!". Элла Хупер говорит: "Очень интересно участвовать во всем, что является первым в своем роде, и в последние годы я все больше и больше увлекаюсь Евровидением, так что это идеальное время! Я надеюсь привнести немного традиционной рок-н-ролльной энергии в эффектное исполнение поп-песни, наполненной смыслом". Таня Доко говорит: "Это одна из тех незапланированных, неожиданных маленьких глав моей карьеры, к которой я перехожу с чувством приключений и волнения. А то, что я, как автор песен, буду исполнять песню, которую я сама написала в соавторстве, это вишенка на торте!". Редактор SBS Джош Мартин говорит: "Эти последние три исполнителя мирового класса дополняют состав участников первого в истории Eurovision - Australia Decides, и песни, выпущенные сегодня, невероятны. В Австралии появляется новый летний музыкальный фестиваль, и это событие нельзя пропустить - ни в самом Голдкосте, ни в эфире по всей стране!" Креативный директор Eurovision - Australia Decides Пол Кларк говорит: "Наши последние три артиста, создают полностью завершенное шоу. Элла является фаворитом австралийской публики и обладает лучшим роковым вокалом в нашей стране со времен Крисси Амфлетт. У Алфи есть соул голос - он так трогателен, когда ты слышишь его в его собственной песне, это действительно впечатляет. Таня Доко является олимпийской поп-певицей, и исполнительницей самого знаменитого радиохита Австралии "Buses and Trains". Мы так рады, что они составляют нашу десятку - очень разнообразную группу, которая включает в себя всю палитру звуков австралийской музыки"
Представлены финальные версии Eurotemazo - песен испанского отбора. Их можно прослушать в нашем плейлисте или на сайте RTVE. Стали известны финалисты хорватского шоу Dora. 16 песен и 2 резерва были выбраны из 166 кандидатов профессиональным жюри в составе Иваны Врдоляк Vanna, Златко Туркаль Turki, Игорь Гержина, Анте Пекотич, Антония Шола, Златко Галь и председатель Жельен Клаштерка. Пресс-конференция - презентация участников португальского отбора Festival da Canção 2019 пройдет 21 января в Time Out Studio в Лиссабоне в 14:30 Москвы. Ожидается, что во время нее будут также представлены отрывки или полные версии участвующих песен. Дизайн сцены Мелодифестивалена 2019 будет хамелеоном, который может принимать 35 различных вариаций, включая для актов интервала и открытия. Ширина сцены - рекордные 22 метра, она включает в себя как LED экран, так и часть, основанную на освещении. LED экран будет иметь самое высокое разрешение в истории конкурса, а световое кольцо - самый тяжелый подвешенный элемент. В этом году дизайнер сцены Виктор Браттстрем отказался выбирать между LED и светом. Потому, сцена Мелодифестивалена будет включать справа LED стену, а справа - световое решение. - Некоторые артисты будут использовать обе части сцены, чтобы в рамках одного номера создать различные эффекты, говорит Браттстрем. Детали доступны на сайте SVT. "Буквально три дня назад «МК» предполагал большую вероятность очередного штурма «Евровидения» тандемом Филиппа Киркорова и Сергея Лазарева и это предвидение сбылось. Пока еще нет формального уведомления, но из абсолютно достоверных источников «МК» стало известно, что буквально со дня на день (если не с часу на час) будет официально объявлено, что участником от России на конкурсе «Евровидение 2019», который пройдет в мае Тель-Авиве, станет певец Сергей Лазарев. По сведениям «МК» песня будет обнародована либо вместе с официальным объявлением об участии Лазарева в конкурсе, либо спустя несколько дней после обнародования имени посланника России"
Напомним, что телеканал Россия отказался подтверждать информацию об участии Сергея Лазарева. Официальное представление участника от России ожидается в конце января. Организаторы также сделали заявление о том, что было рассмотрено возможное нарушение правил песней "Destin" группы Trooper, но было принято решение оставить ее в конкурсе. ВГТРК, отвечающая за выбор представителя России на Евровидении 2019 не подтверждает появившуюся в соц.сетях информацию о том, что исполнитель Сергей Лазарев представит Россию на конкурсе Евровидение 2019 в Тель-Авиве. "Мы не подтверждаем! Официальный участник будет представлен в конце января", заявил на запрос ESCKAZ представитель делегации России на конкурсе. По информации ВГТРК, представитель России будет определен профессионалами, хорошо знающими как российскую музыкальную сцену, так и тенденции современной мировой сцены в конце января из нескольких возможных кандидатов. Подтверждено расписание трех вечеров Дней HRT в Опатии. В день св.Валентина, HRT проведет концерт во дворце им. Драго Жерве в 20:00 местного времени с выступлением Симфонического Оркестра HRT под управлением дирижера Робера Фаркаса, победителя конкурса молодых дирижеров им. Ловро фон Матачича. В концерте, помимо прочих, выступят оперная певица Кристина Колар и победитель первого сезона шоу Maestro Озрен Габарич. Ведущий программы Роберт Ферлин. День спустя, в том же зале пройдет концерт Джазового Оркестра HRT, который исполнит популярные композиции серенад Опатии в новых аранжировках, с участием приглашенных исполнителей - Антонела Доко и Элвис Станич, Марко Толья, Нина Кральич, Жак Хоудек, Марко Кутлич, Ива Гортан и Дамир Кеджо. Ведущие вечера: Даниела Трбович и Иван Вукушич. Пройдет во Дворце спорта им. Марино Цветковича. Хорватский отбор Dora проведут ветеран HRT Мирко Фодор, вместе с Ивой Шулентич и Еленой Глиштич. Режиссер шоу - Иван Миладинов. В состав жюри предварительного отбора вошли Ванна, Златко Туркаль, Игорь Гержина, Анте Пекотич, Златко Галл, Антония Шола и Жельен Клаштерка. Список участников фестиваля будет объявлен завтра в 14:00 Москвы. Определились двенадцать участников четвертого этапа израильского отборочного шоу Hakokhav Haba. Видео выпуска можно увидеть здесь. 2 обладателя вайлдкардов: Avraham de Carvalho, Shefita. Организаторы Евровидения ведут переговоры с представителями певицы Мадонны об ее участии в качестве интервал-акта финала конкурса Евровидение 2019, сообщает Ynet. По информации издания, певица в целом дала согласие на выступление в шоу, но между сторонами еще есть различие в финансовых вопросах. Ранее сообщалось, что организаторы конкурса ищут международную звезду для выступления в шоу, в качестве потенциальных вариантов назывались имена Coldplay и Элтона Джона. Репортажи не нашли подтверждения в официальных источниках. Михаэль Шульте, Revolverheld и Удо Линденберг станут гостями финального шоу немецкого отбора "Unser Lied für Israel". Михаэль Шульте стал обладателем 4го места в прошлом году. Группа Revolverheld и Удо Линденберг входят в число самых успешных немецких артистов. Новый альбом Линденберга возглавил немецкие чарты незадолго перед Рождеством. Менеджер Revolverheld Саша Штадлер входил в состав немецкого национального жюри в прошлом году. Шоу выйдет в эфир в пятницу, 22 февраля в 22:15 Москвы на телеканалах Das Erste, ONE, Deutsche Welle. Йоханнес Нюмарк и Кристиан Гинтберг станут ведущими Dansk Melodi Grand Prix 2019. Нюмарк будет вести конкурс третий год подряд, а для Гинтберга это станет дебютом в роли. DMGP пройдет 23 февраля в Boxen в Хернинге, и выйдет в эфир в 22:00 Москвы на телеканале DR1. "Будет мега круто! Два прошлых раза, когда я вел конкурс, были очень веселыми", говорит Йоханнес Нюмарк, который сам был победителем DMGP 2016 с группой Lighthouse X. "Это интересное развитие в моей жизни, сначала я принял участие в DMGP, и с того времени был его ведущим - уже буду в третий раз. Чем больше ты повторяешь, тем легче все проходит. Так что я уже немного могу расслабиться в этой роли"
"Не так важно, работаешь ты в паре с женщиной или мужчиной, важна энергия, которая появляется в ваших отношениях на сцене Аннетт и я очень хорошо сработались, и думаю, что с Кристианом тоже все получится. Мы уже много повеселились вместе"
Кристиан Гинтберг с нетерпением ждет возможности провести крупный музыкальный конкурс. "Это просто сумасшествие, все люди, которые приходят сюда увидеть шоу - настоящие фанаты. Даже когда ты смотришь его по телевизору, то чувствуешь, что зал сейчас вскипит", говорит Гинтберг. Ранее он вел Ramasjang Mysteriet, Lille Nørd и детский MGP. "Это самая большая программа у DR, и в то же время это традиция. Приход Grand Prix - это праздник. Это похоже на Чемпионат Европы по футболу, только в области музыки. Я очень горжусь тем, что стану его ведущим"
"Мне также разрешили послушать некоторые из отобранных песен, и я могу только сказать, что они невероятно хороши"
"Я никогда не был в Boxen, но помню как я был впечатлен несколько лет назад, когда я вел MGP в Gigantum в Ольборге. А здесь все будет еще больше"
Гинтберг рад провести шоу с Нюмарком. "Когда вас ставят вместе вести шоу, у вас очень немного времени, чтобы узнать друг друга, но мы уже хорошо провели время вместе. Мы очень хорошо повеселились, и понравились друг другу, и это очень здорово. Я чувствую, как будто мы знакомы уже очень давно". На конкурсе Евровидение, представитель Бельгии Элиот исполнит песню на английском языке Wake Up, которую написал Пьер Дюмулен. Элиот стал известным публике, выступая под своим полным именем Элиот Вассамийе на 7м сезоне The Voice Belgique. После того, как он выбыл из шоу на стадии прямых эфиров, весной 2018 года, с молодым исполнителем связался композитор Пьер Дюмулен. "Пьер пригласил меня к себе домой в Льеж. Я рассказал ему о своем опыте и ожиданиях. О первой гитаре, которую я получил в возрасте семи лет, о двух годах сольфеджио, о моей страсти к англо-саксонской поп-музыке и меланхоличным песням. Пьер показал мне демо версию того, что позднее станет Wake Up, и мне она сразу же понравилась. Вместе мы обсудили возможную тематику песни. Wake Up - это призыв к молодежи улучшать мир и мобилизоваться ради достижения мира во всем мире. Это тот позитивный посыл, который мы хотим передать". После участия в шоу Голос, Элиот дал несколько выступлений в Бельгии. 18-летний исполнитель в настоящее время заканчивает обучение в Saint-Stanislas College в Монсе. Телеканал KAN предлагает израильским поклонникам конкурса шанс выиграть билеты на шоу. Крайний срок для участия - 27 января, 17:00. Победители будут извещены 17 февраля. Также, видео призыва к участию намекает на то, что Люси Аюб и Асси Азар будут задействованы в проведение Евровидения 2019, ожидается, что они станут ведущими в гринруме. Михай Трайстариу рассказал, что связался с делегацией Сан-Марино и предложил им свою кандидатуру. "Вечером я снял заявку, а с утра проснулся от страданий, я не люблю проигрывать, и потому сел изучать, в каких странах еще продолжаются национальные отборы. Я решил отправить письмо в Сан-Марино, которое принимает заявки до 21го числа. Сейчас я жду от них ответа, хотя, по слухам, они уже нашли участника". "Я не оставлю свою мечту вернуться на Евровидение, но я не уверен, произойдет ли это в этом году. Я также изучил правила Молдовы, но там нужно быть гражданином этой страны или петь дуэт с гражданином. Пока не знаю, стоит ли мне делать дуэт. Евровидение - это цель моей жизни, и я попаду туда все равно, и не важно от какой страны. Если это невозможно будет сделать от Румынии, то я попробую другие страны". "Я снял свою заявку по ряду причин. Основная заключается в том, что прием заявок завершился 10 декабря. Я и многие другие исполнители торопились, чтобы успеть все подготовить за короткий срок. Потом Дан Биттман снял свою заявку, мы думали, что они пригласят кого-то, кто занял 25 место, но TVR сказали нам, что никого звать не будут. Мы продолжили подготовку, и затем увидели, что организаторы поменяли свое решение и объявили об идее с этими вайлдкардами. Но вайлдкарды это же когда кого-то дополнительно берут из полуфинала в финал, а не то, что они сделали. Они просто перешагнули через 126 участников, подавших заявки в первой стадии, и напрямую добавили две песни на конкурс, что было нечестным ко всем". "Была петиция, и я тоже ее подписал. Насколько я знаю, о своем желании отказаться от участия заявляли еще шесть артистов. Но сейчас, когда я ушел, это уже не моя проблема. Наверное, они рады, что от меня отделались, я не знаю. Вот это была основная причина: то что они добавили две песни. Евровидение стоит мне 350 млн старых леев (7500 евро), я вкладываю свои деньги постоянно в хореографов, танцоров, визажистов, плачу людям за проживание и питание", рассказал певец в интервью Click. Официально: RTBF подтверждает информацию Télépro: Элиот Вассамийе становится представителем Бельгии на Евровидении в Тель-Авиве. На конкурсе 18-летний школьник не будет использовать свою фамилию и выступит просто как Eliot. Вновь автором конкурсной песни стал Пьер Дюмулен. Он был со-автором песни "City Lights" с которой Бланш заняла 4е место в 2017 году. "Как только я увидел выступление Элиота на слепых прослушиваниях, то понял, что в нем есть та изюминка, которую я всегда ищу в артисте, та чувственность и надлом, которые нужны, чтобы передавать эмоции", объясняет Дюмулен. Пьер Дюмулен также писал песни для Noémie Wolfs (бывшей солистке Hooverphonic), которая выпустит в 2019 году сольный альбом, Emma Bale, Tessa Dixson и болгарского певца Кристиана Костова. Конкурсная песня не будет представлена раньше февраля. Элиот Вассамийе представит Бельгию на Евровидении 2019? Согласно репортажу издания Télépro, кандидатура Валентин Броньон не рассматривается для конкурса, но все равно в Тель-Авив отправится участник шоу талантов. По информации источника, Вассамийе был выбран для участия в Евровидении уже в октябре. 17-летний певец также принимал участие в "The Voice Belgique", где он сначала выступал в команде Слимана. Он дошел до стадии первого прямого эфира. Ожидается, что RTBF сделает официальное заявление в ближайшее время. Представитель Австрии на Евровидении 2019 будет выбран на этой неделе. В финале внутреннего отбора рассматривается три песни, рассказал в рамках своего проекта AUSTROZONE консультант ORF Эберхард Форшер. Участник украинского национального отбора LAUD рассказал в интервью ESCKAZ о своей конкурсной песне "Два дні" (авторы: Ваня Клеменко и Стас Чёрный), премьера которой пройдет 1 февраля. Моника Мария решила принять участие в литовском отборе с двумя песнями: Criminal и Light On. Песня "Light On" очень важна в жизни певицы. Она призналась, что эта работа описывает один из самых болезненных периодов, когда ей пришлось столкнуться с серьезной угрозой жизни. Песня стала большим успехом и получила положительную оценку от слушателей, потому артистка вместе с ELITAZ MUSIC решила выставить на отбор две композиции. "Когда мы выбирали песню для Евровидения, я чувствовала, что мое сердце склоняется к Criminal. Однако, сложно принимать подобные решения, пока ты не попробовал песни вживую на сцене. После концертов с презентацией альбома, я почувствовала большую поддержку и желание слушателей увидеть Light On на сцене Евровидения, и я всегда ставлю своих слушателей на первое место", говорит Моника Мария. "Обе песни важны для меня, поскольку за ними есть сильные истории, которые изменили мою жизнь. Разница в стилях, жанрах. Также история одной песни - о том, что случилось со мной, а вторая - о том, что я сделала другому человеку", рассказывает певица. Саша Сонг в дуэте с Довиле и песней "Bad Boy", брат Эгле Якштите Линас Якштис с "Criminal Love" и бывшие участники X Factor 120, с которыми работает Саулюс Урбонавичюс-Самас также добавлены к числу участников отбора, заменив в списке кандидатов еще одного участника X Factor Алгирдаса Даумантаса Цюниса. Певица Дарьяна: "21 января на пресс-конференции в Сан-Марино будет объявлено о том,кто из международных артистов представит Сан-Марино на конкурсе EUROVISION 2019 в Израиле: певица Дарьяна (Россия) или Родриго Алвес (Великобритания) daryana_singer chelyshevoleg #singer #певица #певицадарьяна #id173963 (daryana_singer) #model #actress #produser #олегчелышев #продюсер #москва #санмарино #sanmarino #wait #result #evrovision #mydreams #dreams #russia #italy #daryana"
Тем временем, телевидение Сан-Марино выпустило заявление, что не будет подтверждать или опровергать какие-либо заявления до 21 января, пресс-конференции и презентации участвующего артиста. Организаторы Грузинского Идола Sakartvelos Varskvlavi рассказали о том, что в третьем шоу, которое выйдет в эфир в эту субботу, уже станут известны 10 финалистов проекта. Pop Idol - формат, которым владеет компания Fremantle Media, а Nova Productions - обладатель официальной лицензии на шоу в Грузии. Каждая стадия отбора определяется согласно официально обозначенному формату международного проекта. На первой стадии шоу жюри дает положительную или отрицательную оценку конкурсантам на прослушивании. Положительная оценка выражается в "Золотом билете". На первой стадии у жюри нет ограничений - оно может дать столько "Золотых билетов", сколько конкурсантов ему понравится. Всего на первом этапе "Звезды Грузии" положительно были оценены 48 участников (из них в эфире показаны 20). После завершения первой серии кастингов, жюри вновь оценивает в закрытом режиме всех обладателей "Золотых билетов". В соответствии с правилами формата и музыкальными возможностями участников, жюри выбирает тех, кто выйдет во второй этап. Таким образом, жюри отобрало 22 конкурсанта из числа 48 обладателей "Золотых билетов" для второй стадии кастингов, где будут определены 10 финалистов проекта. Вторая стадия "Звезды Грузии" выйдет в эфир в субботу в 21:00 Москвы на Первом Канале грузинского ТВ. | Компания OG Group, которая недавно одержала победу на тендере на производство посткардов Евровидения 2019, отказалась от своего участия. При подписании контракта выяснилось, что компания хотела бы внести изменения в его условия. Поскольку остается не так много времени, и все условия были обговорены в тендере, телекомпания организатор KAN не согласилась, и OG решила отказаться. Право на съемку посткардов переходит в Gustavo Productions. Globes сообщает, что идея посткардов заключается в "соединении участника со страной организатором, снимая его на фоне различных ландшафтов и достопримечательностей Израиля. Длина роликов - 40 секунд. Кроме того, будет снят еще 5 минутный ролик, который будет включать всех участников конкурса. Тендер на производство посткардов, общей стоимостью в 3.2 млн шекелей, был опубликован 2.5 месяца назад, за право боролись пять компаний. Gustavo Productions специализируется на телевизионной рекламе и работает с большинством крупнейших рекламных агентств и крупными рекламодателями, такими как производитель напитков CBC Group, лотерея Mifal HaPayis, мобильный оператор Partner, Isracard и др. Представлены финальные версии песен Венгерского отбора A Dal, прослушать их вы можете в нашем плейлисте, а также на сайте венгерского телевидения. Катерин Дуска договорилась об условиях с ERT и станет представительницей Греции на Евровидении 2019, сообщают Star TV, EurovisionFun, INFE Cyprus и различные греческие СМИ. Ранее на этой неделе Димитрис Пападимитриу, который является председателем комитета ERT по проекту Евровидение 2019, принял решение сделать соответствующее предложение директору MINOS EMI Маргарите Маца, а также самой певице. Среди других обсуждаемых имен были Мариетта Фафути и Элени Цагрину. Как сообщается, сделка с лейблом будет отличаться от двух предыдущих лет, когда ERT покрывала только плату за взнос в ЕВС, а все другие расходы (перелеты, отели, постановка номера и т.п.) покрывались музыкальным лейблом артиста или спонсорами, на этот раз за все будет отвечать само греческое телевидение. Считается, что окончательная договоренность была достигнута некоторое время назад, и Дуска сама напишет песню, с которой выступит на конкурсе. Катерин Дуска - греко-канадская певица / автор песен, в настоящее время проживающая в Афинах. Ее дебютный альбом "Embodiment" был выпущен в 2016 году Minos EMI / Universal Records, а в 2018 году ее сингл "Fire Away" был выбран для официальной телевизионной рекламной кампании Nescafe Canada. Ее музыкальный стиль передает темные звуковые тембры Lykke Li и Jessie Ware, а ее фирменный вокал заслужил сравнения с Amy Winehouse. Катерин поднялась до статуса инди-звезды со своей хитовой песней "One in a Million" и кавером на песню Arctic Monkeys "Do I wanna know", собрав более 2 миллионов просмотров на Youtube. С тех пор она сотрудничала и делила сцену с LP, Albin Lee Meldau, Tom Baxter, Yasmine Hamdan, Oddisee, Kadebostany и выступала на престижных площадках и фестивалях по всей Европе, таких как The O2 Academy, Rockwave Festival, SNFCC, Megaron Concert Hall и Sofarsounds / Международный фестиваль Amnesty International "Give a home". Латвийское шоу Supernova будет состоять из двух полуфиналов - 26 января и 2 февраля и финала 16 февраля. Ведущими шоу станут Дагмара Леганте и Кетия Шенберга. По восемь участников выступят в каждом полуфинале, и половина из них выйдут в финал конкурса. Победитель шоу получит право представлять Латвию на Евровидении в Тель-Авиве, а также возможность заключить контракт с Universal Music Group. В полуфиналах и финале оценивать песни будут жюри и телезрители. В этом году будет допускаться только одна СМС или звонок с телефонного номера. Вновь можно будет голосовать на сайте конкурса, и уже третий год подряд будут учитываться Spotify прослушивания. В этом году за шоу смогут вживую следить все желающие, билеты поступят в продажу в ближайшее время на E-kase.lv. Последнее место в голосовании телезрителей во втором живом шоу X Factor Malta заняла группа Xtreme. В песне за жизнь сразились последняя группа 4th Line и Ben Purplle, голоса жюри разделились, а зрители оставили в шоу Бена. Таким образом, Александра Олден осталась без подопечных. Проигравшие участники еще получат возможность вернуться в шоу в качестве вайлдкардов, всего из 20 участников третьей стадии далее пройдут 12. "Мечты сбываются !! С напряженной работой, преданностью делу, уважением друг к другу и любовью мы все можем осуществить свои мечты! #eurovision #rodrigoalves #sanmarino"
Напомним, что официальная презентация артиста от Сан-Марино пройдет 21 января. "Национальный отбор организован для того, чтобы представить Румынию на Конкурсе Песни Евровидение художественным актом с наибольшим потенциалом для достижения наилучшего результата в этом престижном международном конкурсе. Евровидение - это соревнование, в котором талантливые и сильные побеждают, но, прежде всего, остаются в гонке, принимая вызов это соревнования. Любой артист может принять участие в нем или, в зависимости от обстоятельств, сдаться. TVR организовал Национальный отбор в духе прозрачности, и весь Регламент был опубликован одновременно с запуском приема заявок на официальном сайте. Отбор вайлдкардов проводился одним и тем же жюри на основе тех же критериев, что и при предварительном отборе. Мы рады, что был проявлен большой интерес к отбору вайлдкардов, такой же как и к предварительному отбору, и два новых отобранных трека привносят дополнительную ценность в Национальный отбор. Безусловно, конкуренция будет более интенсивной, шоу станет увлекательнее, и тем самым поклонники Евровидения останутся только в выигрыше." "Прежде всего, уточним, что все называющиеся в СМИ "наиболее вероятные участники" от России (Филипп Киркоров, Сергей Лазарев, Ольга Бузова, Елена Темникова, Егор Крид и другие) - только пересказ частных мнений пользователей социальных сетей. И никакого "шорт-листа" пока в действительности не существует. Да, есть артист, у которого больше шансов представить Россию в Тель-Авиве. Есть и еще один. Хотя, возможно, на "Евровидение" поедет группа", - рассказали обозревателю "Российской Газеты" в ВГТРК. "Но в настоящий момент претендента, которому было бы отдано явное преимущество, нет. Все выяснится ближе к концу января, тем более, что большинство артистов после новогодних праздников и корпоративов находятся в отпусках. А определение участника требует и его присутствия в России. Как точно будет происходить отбор, сказать пока не можем. В любом случае, выбирать станут профессионалы, хорошо знающие и отечественную сцену и тенденции современной музыкальной сцены"
"Оценив организацию национального отбора Румынии на Евровидение 2019 телеканалом TVR, я принял решение отказаться от участия в конкурсе. Евровидение - это конкурс, который дал мне ауру артиста в 2006 году, когда я добыл наибольшее количество баллов в истории для Румынии в истории и моя песня Tornero стала хитом в 35 странах. Это мотивировало всю мою дальнейшую карьеру, и показало, что мечты могут исполняться, если ты действительно хочешь работать над этим. Я - борец по натуре, и я доказал это многочисленными фактами. Поскольку в настоящее время я не могу доверять объективности организаторов национального отбора Румынии, которые создали неясную ситуацию, касающуюся конкурсантов - какие-то из них проходили отбор с самого начала, а какие-то получили преимущества позднее - я решил отказаться от участия. Я не хочу начинать путешествие, переполненное загадок. Спасибо всем тем, кто поддерживал меня и мою музыку, и я обещаю, что для меня Евровидение все равно остается историей ... без конца!" 14 конкурсантов выступили в сегодняшнем эпизоде Грузинского Идола Sakartvelos Varskvlavi, среди них были участница Candy Ирина Хечанови, певица-трансгендер Анастасия Пирвели, двойник Мерлин Монро, участники украинского Голоса Ото Немсадзе, украинского X Factor Бесик Немсадзе и Дима Кобешавидзе, грузинского X Factor Лиза Мебония и Лиза Каландадзе. Все видео выпуска вы можете найти на Youtube. Имя артиста, который будет выступать на "Евровидении" от России, объявят в конце января, никакого списка возможных кандидатов сейчас нет, сообщили РИА Новости представители организатора конкурса в РФ, в этом году им стал холдинг ВГТРК. Bella Santiago и Linda Teodosiu становятся обладателями вайлдкардов и участницами румынского отбора. Новые заявки, полученные организаторами до 22:00 10 января, были оценены тем же самым жюри, основываясь на тех же самых критериях, как административных, таки художественных. Активируя опцию правил, позволяющую TVR вносить один вайлдкард в каждое отборочное шоу, организаторы стараются повысить уровень национального отбора, и таким образом шансы Румынии на международной сцене. Финал латвийского отборочного шоу Supernova состоится 16го февраля, сообщило Латвийского телевидение в своем Твиттер аккаунте. Первый эфир программы выйдет 26 января в 22:25 Москвы. LTV представило трейлер проекта. По всей видимости, шоу возвращается к старому формату с двумя четвертьфиналами (26 января и 2 февраля), одним полуфиналом (9 февраля) и финалом (16 февраля). Стал известен список кавер-версий, которые в рамках первого отборочного шоу Destination Eurovision споют его участники в дополнение к своим конкурсным песням. Сербский отбор Беовизия в этом году пройдет в три конкурсных вечера. Полуфиналы шоу состоятся 27 и 28 февраля, а финал - 3 марта. Шоу выйдут в прямой эфир телеканалов РТС1 и РТС Планета из 8 и 9 студии РТС. Участвующие песни будут размещены на мультимедийных платформах РТС и Youtube канале на протяжении февраля, а участники получат возможность представить их в Утренней программе РТС, и программе Шареница. Автор песни "Toy" и еще ряда заявок Израиля Дорон Медали войдет в состав панели экспертов финала испанского отбора на Евровидение. Помимо него, свое мнение об участвующих песнях выскажут Пастора Солер, Мануэль Мартос и Тони Агилар. Жюри будет обладать только совещательным голосом. Как уже сообщалось ранее, финальное шоу выйдет в эфир в ночь с 20 на 21 января в 00:05 Москвы. 17го января в 17:00 Москвы будут представлены финальные версии конкурсных песен. С 18го января они станут доступны на всех цифровых платформах. Их запись проходит сегодня в студии программы Operación Triunfo. Специальной гостьей программы станет Элени Фурейра, которая уже выступала на испанском телевидении в новогодней программе. Жак Хоудек раскрыл, что его заявка для Доры 2019 будет исполняться 18-летним Роко Блажевичем, который выступал в команде Жака в шоу телеканала RTL "Zvijezda". Их песня будет носить название "The Dream", что является прямой отсылкой к слогану этого года "Dare To Dream", который в свою очередь является фразой из песни Жака "My Friend". Eurosong.hr сообщает, что на отбор было подано около 150 заявок. Жюри соберется в начале следующей недели и должно завершить свою работу до ее конца. Песни, принимающие участие в конкурсе Dora, не будут представлены до его эфира 16 февраля. Хорватская пресса пишет о том, что заявки на участие в фестивале подали такие исполнители, как Дамир Кеджо, Gelato Sisters (с Недой Пармач, дважды выступавшей на Евровидении в составе Feminnem), Лидия Бачич, Мила Элегович, Никита Ивошевич с песней "Winner", Ким Версон, Teška industrija, Četiri tenora, Марко Зеканович, Патрисия Гашпарини. В то же самое время, ранее обсуждаемые артисты, такие как Индира Левак и Майя Шупут не подали заявок. Один из самых известных местных авторов, лидер группы Colonia Борис Джурджевич подтвердил, что заявил песню в исполнении 18-летней Мери Андракович из Осиека, которая четыре года назад была финалисткой шоу "Zvijezda". Горан Тополовац (композитор "Mižerja"), подал "сильную Евровизионную балладу" на английском в исполнении певицы. Финал британского отбора Eurovision: You Decide выйдет в прямом эфире в пятницу 8го февраля 2019 года из Media City UK в Салфорде. Билеты на посещение шоу разыгрываются в лотерее на сайте LostInTV.com , где заявку может оставить любой желающий. Дети до 16 лет на шоу не допускаются, а 16-17 летние могут находиться там только в сопровождении родителей. Вход с 16:45. Прямой эфир на BBC Two с 19:30 до 21:00 местного времени. Издание Super.ru, регулярно освещающее участие России в конкурсе Евровидение, сегодня с ссылкой на свои источники опубликовало шорт-лист претендентов на право представить страну на Евровидении 2019, который якобы рассматривается телеканалом Россия 1. В него вошли Филипп Киркоров, Александр Панайотов, Сергей Лазарев, Manizha, Ольга Бузова, а также Егор Крид и Лена Темникова. Подробности на сайте издания. Следует отметить, что автор публикации, журналист Алена Жигалова, несколько дней назад была отмечена на фотографии в одной из социальных сетей в компании певицы Manizha и ее менеджера Майи Сериковой. Интересно, что Super не включило в свой список таких артистов как Валерия, Нюша, Ани Лорак и эстонский исполнитель Уку Сувисте, имена которых также регулярно фигурируют в контексте Евровидения. Стоит отметить, что последние два артиста принимают участие в шоу Первого Канала "Голос", но Первый канал уже неоднократно отправлял на конкурс артистов, ассоциировавшихся с "Россией" - Алексея Воробьева, Юлию Самойлову, и вел в свое время переговоры и с Бурановскими Бабушками. В частности, Сувисте весьма плотно сотрудничал с Dream Team Филиппа Киркорова в их последний приезд в Москву, по некоторой информации, приняв участие в записи демо-версии одной из потенциальных конкурсных песен России. Официальная информация о том, кто представит Россию на конкурсе Евровидение 2019 ожидается в ближайшие недели. Завершились эфиры второго этапа израильского отбора Hakokhav Haba. В их рамках были показаны выступления 40 конкурсантов из 68 исполнителей, вышедших во второй тур. 20 лучших из них сразятся в третьем туре шоу. Немецкий вещатель NDR опубликовал текстовую версию онлайн-конференции с участием Кристофа Пелландера и Томаса Шрайбера, которая прошла 8го января. Координатор развлекательного вещания ARD объяснил, что перенос финального шоу на пятницу вызван желанием избежать столкновения с другими телепрограммами с телеголосованием (Next Topmodel и DSDS). В настоящее время планируется эфир длиной в 120 минут. Каждая песня прозвучит один раз и затем будет проведено голосование. Выступят два или три специальных гостя. Михаэль Шульте будет принимать участие в шоу, но возможно в иной роли. Затем будут оглашены результаты голосования двух жюри и зрителей. Составы жюри будут объявлены в день эфира. Международное жюри будет прежде всего состоять из лиц, уже имеющих опыт участия в национальных жюри, чьи голоса близко соответствовали общему результату конкурса. Планируется собрать 20 членов жюри из 20 различных стран, они также будет представлять широкий спектр возрастов. Билеты на шоу поступили в продажу 10 января по цене в 39 Евро, в зале будет 800 мест. Услышать участвующие песни можно будет только в день отбора, что сделано для того, чтобы избежать радио или иного продвижения кандидатов и дать им равные возможности. "У нас не будет хип-хопа, рэпа или кантри. Будут красивые баллады и быстротемповые номера. Музыкально, стиль скорее сконцентрирован в направлении поп-музыки, но ни одну песню нельзя назвать мэйнстримом. Все они несут в себе посыл. Будут драматичные номера, и по-меньшей мере одна песня, где я могу представить слезы", говорит Шрайбер. Порядок выступления на шоу будет определен после проведения национальных репетиций. За постановку номеров будет отвечать та же команда, что работала над Евровидением в Дюссельдорфе и номером Михаэля Шульте в прошлом году. Самим артистам также предложено прислать свои предложения о своих сценических номерах. Режиссером шоу стане Ладислаус Кираль, дизайн сцены Флориана Видера, режиссер по свету Джерри Аппельт, продюсер Маттиас Альберти. По сравнению с направленной в зал сценой в Тель-Авиве, сцена немецкого отбора будет более квадратной, и зрители будут сидеть вокруг нее. Будут использованы LED панели, и возможно будет небольшой сюрприз на стене, который также может быть использован и в Израиле. NDR ведет переговоры с радиостанциями о ротации немецкой песни Евровидения перед международным финалом в Тель-Авиве. Возможно, выбранный артист совершит радиотур по немецким радиостанциям. Задача делегации в Тель-Авиве - попасть в десятку сильнейших. Порядок выступлений в полуфиналах шведского отбора Melodifestivalen будет представлен Кристером Бьоркманом и Карин Гуннарссон завтра в пятницу в 14:00 Москвы. Они прокомментируют свое решение в прямом эфире в Facebook и Instagram. Популярный израильский исполнитель Омер Адам, которому было предложено выступить в интервал акте Евровидения 2019, не примет участия в шоу. Офер Адам, пресс-секретарь исполнителя, заявил: "Омер действительно получил предложение выступить на Евровидении 2019. После встречи между сторонами, в свете того, что генеральная репетиция шоу должна состояться в Шаббат, Омер решил не принимать участия в данном мероприятии". Греческий вещатель ERT объявил состав рабочей группы по выбору представителя страны на конкурс Евровидение 2019. В нее вошли: председатель Димитриc Пападимитриу (композитор, член правления ERT), Петрос Адам (музыкальный продюсер), Фотис Апергис (журналист), Яннис Петридис (музыкальный продюсер), Мария Куфопулу (директор отдела международных связей ERT), София Драниду (глава директората международных отношений). Ранее было решено, что ERT выберет своего представителя на конкурс внутренним отбором, сначала определившись с артистом, а затем подобрав для него песню, соответствующую его имиджу и музыкальному стилю. Члены комитета могут предлагать возможных артистов, с которыми потом будут проведены переговоры. По сообщению EurovisionFun, первым обсуждавшимся именем стала 38 летняя певица Мариетта Фафути. Ее имя уже рассматривалось ERT в качестве одного из кандидатов в 2016 году. Фафути работает с лейблом Feelgood Records. Ранее сообщалось, что лейблы MINOS EMI (2015) и PANIK (2013, 2014, 2017, 2018) решили не принимать участие и не выставлять своих артистов на греческий отбор. Хотя Мариетта и была первым артистом, с которым решил пообщаться телеканал ERT, на заседании комиссии обсуждались и другие имена. Также было предложено сотрудничество с известной женщиной-композитором. По словам журналиста телеканала STAR Янниса Пулопулоса, телеканал также рассматривает греческо-канадскую певицу Катерин Дуску. Сообщается, что в этом году телеканал ищет поп-песню с европейским звучанием, которая бы исполнялась на иностранном языке, в отличие от требований, выдвинутых в прошлом году. Ранее различные источники упоминали следующие имена возможных представителей Греции на Евровидении 2019: Каломира, Шая, Вангелис Какуриотис, Никос Ганос, Елена Цагрину, Костас Агерис. 24 песни сразятся в финале сербского отбора Беовизия 2019. Крайний срок приема заявок прошел 15 ноября, и 23 ноября все пакеты, поступившие в Радио и Телевидение Сербии были вскрыты. Было получено 76 заявок на участие в конкурсе, и отборочный комитет, в который вошли музыкальные редакторы РТС, прослушали полученные песни. Все они были отмечены кодами, так что прослушивание проходило без знания имен авторов и исполнителей. После предварительного отбора песен, были вскрыты дополнительные конверты с именами авторов музыки и текста. Окончательный процесс отбора прошел 8 января, и в рамках него были определены 24 песни для участия в конкурсе. Отобранные песни сразятся в финале Беовизии 2019, который пройдет в конце февраля 2019. Эрика Дженнингс возвращается на Евровидение. Участница Евровидения 2001 представила конкурсную песню "Sing! ", которую она будет исполнять вместе со своим мужем Jurgis Did (Юргисом Диджулисом, участником Евровидения 2010). "Эта песня - особенная, и это песня, которая должна победить! Потому, я снова выпрыгиваю из холодильника, буду танцевать на крышах и в общем жить Евровидением в ближайшем будущем. Еще одно приключение в нашу коллекцию. Если вы знаете, что это правильно, то вы должны следовать своему сердцу и быть верными себе. У меня есть лучший партнер для этого сумасшедшего путешествия ... любовь всей моей жизни. И отличная команда поддерживает нас. Для начала, вот небольшое живое видео", заявила певица. Напомним, что Дженнингс отказалась от участия в отборе в прошлом году, заявив: "Я просто не хочу снова прыгать через все эти обручи. Я - певица. Я уже была на Евровидении, с моей собственной песней, и мы выступили очень хорошо, как я помню. И поэтому идея снова оказаться в роли, когда я, почти как "школьница" должна стоять там, слушая комиссию, после выступления от всего своего сердца, это просто ужасно. И со всем уважением, большинство из них менее опытны, чем я, в этих конкретных темах Евровидения, пения и написания песен". Карла Бугальо, глава делегации Португалии, член организационной группы взрослого Евровидения. Телеканал-организатор KAN определил продакшн компанию конкурса на тендере с общей стоимостью в 50 млн шекелей. Продюсировать конкурс Евровидение в Тель-Авиве будет Promarket Group. Пять компаний приняли участие в тендере и в четверг было определено, что его победителем стала Promarket Group. В ее состав входит продюсер Йони Саар, который будет отвечать за проведение мероприятий. Шаул Магнези, заместитель генерального директора телеканала Reshet, станет менеджером эфира. Ожидается, что он покинет свою должность после слияния Reshet и Channel 10. Даниель Ланкри, владелей Mizmor HD Productions, в которую входят телестудии и передвижное вещательное оборудование, станет ТВ продюсером. Продакшн компания будет помогать основным продюсерам Евровидения в организации как ТВ так и других мероприятий. Тендер был организован штаб-квартирой Евровидения в KAN, в которую входят Зивит Давидович, Юваль Коэн, Мейтал Коэн, Тали Эшколи и Коби Нюссбаум. 22 января состоится традиционная жеребьевка, которая определит порядок выступлений конкурсантов в полуфиналах. Напомним, что прямые эфиры Национального отбора-2019 пройдут 9, 16 (полуфиналы) и 23 февраля (финал) одновременно на телеканалах СТБ и UA: ПЕРШИЙ. Муниципалитет Тель-Авива запустил тендер на создание палаточного городка, который послужит для гостей Евровидения и Гей-прайда. Как сообщалось ранее, городок расположится в парке Ганей Йехошуа неподалеку от Tel Aviv Expo, он будет открыт два месяца и будет предоставлять бюджетное проживание по ценам от 100 до 1000 шекелей за ночь (25 до 250 евро) для примерно 2000 гостей. Им будут предложены различные уровни удобств - от простых палаток, которые будут предлагаться в аренду (250 шекелей за палатку на двоих), до удобного т.н. Глемпинга (гламурного кемпинга) (100 шекелей за койко-место) и до мест в трейлерном комплексе, которые будут полностью оборудованы кондиционерами, душем и туалетом (1000 шекелей за ночь). Также будет подготовлен зона отдыха, точки по продаже продуктов питания и напитков, аренда велосипедов, и услуги шаттл-автобусов до мест проведения Евровидения. "Муниципалитет Тель-Авив-Яффа готовится провести Евровидение на самом высоком уровне, создавая неповторимый опыт для всех туристов, которые посетят наш город в эти дни", говорит мэр Рон Хулдаи. "Тентовый городок - лишь одна из многих инициатив, над которыми мы работаем". Министр туризма Ярив Левин добавляет: "Министерство Туризма работает над увеличением опций проживания для туристов, и подобные палаточные лагеря предоставят его по доступным для всех ценам, что особенно важно во время таких мероприятий, как Евровидение"
Сосед Тель-Авива с юга, Ришон-ле-Цион также хочет получить долю доходов от туристов, которые прибудут на Евровидение. В ближайшие недели его муниципалитет также опубликует тендер о строительстве палаточного городка, который расположиться на пляже, и покроет территорию около 6 тысяч кв.м. Рассматривается возможность открытия прямого автобусного маршрута от него до места проведения конкурса в Тель-Авиве. Elton John или Coldplay: Израиль ищет международную звезду, которая бы выступила во время финала конкурса. Помимо выступлений израильских исполнителей: Нетты Барзилай, Даны Интернейшнл и Омера Адама, организаторы конкурса в Израиле намерены заполучить в качестве интервал акта финала международную звезду. По информации программы телеканала Keshet "Chay balaylah" рассматриваются кандидатуры Элтона Джона и группы Coldplay. Также сообщается, что основные ведущие шоу Бар Рафаэли и Эрез Таль получат более 100 тысяч шекелей (25 тысяч евро) каждый. Несмотря на то, что на прошлой неделе ее признали виновной в укрывательстве от уплаты налогов, Бар Рафаэли не угрожает снятие с роли ведущей конкурса, сообщается, что организаторы руководствуются исключительно ее профессиональными качествами. Стал известен полный состав участников немецкого отбора "Unser Lied für Israel": Карлотта Трумен и Лаура Кастель, которые выступят в качестве дуэта "Sisters", присоединяются к шести ранее объявленным участникам. Четыре конкурсные песни были написаны в рамках пятидневного авторского лагеря, где 24 немецких и международных автора и продюсера работали вместе с шестью первыми конкурсантами Aly Ryan, BB Thomaz, Linus Bruhn, Gregor Hägele, Lilly Among Clouds и Makeda. Песня "Sisters" также была написана международной командой специально для Евровидения и предложена NDR. Как и другие песни, она была выбрана на основании положительной оценки жюри Евровидения и экспертного жюри из 20 членов. NDR подобрала для нее исполнителей, основываясь на полученных заявках и рекомендациях музыкальных экспертов. Шоу выйдет в прямом эфире из Берлина в пятницу, 22 февраля, в 22:15 Москвы на телеканалах Das Erste и DW. Ведущие: Барбара Шенебергер и Линда Зервакис, комментатор - Петер Урбан. Продажа билетов начнется 10 января, они будут доступны по цене 39 евро на сайте www.tvtickets.de. Томас Шрайбер, координатор развлекательного вещания ARD, говорит: "Семь сильных, непохожих друг на друга артиста, каждый со своей особенной песней - но только одна из них сможет попасть в Тель-Авив и стать Нашей песней для Израиля! После успеха Михаэля Шульте и его "You Let Me Walk Alone", занявшей четвертое место в Лиссабоне, наша мотивация - вновь попасть в десятку сильнейших на Евровидении 2019"
ЕВС и телеканал организатор KAN представили логотип Евровидения 2019, вдохновленный слоганом Dare To Dream: три треугольника, которые объединившись создают золотую звезду. Представляя концепцию логотипа, телеканал KAN говорит: "Треугольник, один из древнейших форм в мире - это краеугольный символ, который можно найти по всему миру в искусстве, музыке, космологии и природе, где он представляет собой связь и творчество. Когда треугольники соединяются, они становятся единым целым, символизируя бесконечное звездное небо, точно также, как будущие звезды объединятся на сцене Евровидения 2019 в Тель-Авиве"
Логотип этого года вдохновлен также дизайном сцены Флориана Видера, концепция которой использует треугольные формы и структуры. Слоган и логотип были созданы крупнейшими израильскими брэндинг-агентствами: Awesome Tel Aviv, которое создало творческую концепцию, и Studio Adam Feinberg (ST/AF), которое разработало сам логотип. Помимо основной версии, были также созданы и две альтернативные. Чаще всего будет использоваться основной логотип в синих цветах. Все логотипы будут задейстованы множеством способов перед полуфиналами и финалом шоу, включая размещение по всему городу Тель-Авиву в мае. Йон Ола Санд, исполнительный супервайзер ЕВС, говорит: "Мы рады представить логотип, который будет сопровождать слоган Евровидения 2019 Dare To Dream - прекрасно дополняющий фантастический дизайн сцены, созданный Флорианом Видером. Мы надеемся, что тема конкурса этого года вдохновит 42 участников, которые соберутся в Тель-Авиве в мае, мечтая стать звездами будущего"
Румыния выберет своего представителя на Евровидении 2019 17го февраля. Полуфиналы отбора пройдут в Яссы в Sala Polivalenta 27 января, и в Араде в Sala Sporturilor "Victoria" 10 февраля. Финал отбора пройдет в Бухаресте 17го февраля. Смаранда Ворнику Шалит станет главой делегации Румынии в Тель-Авиве. В 2018 году она была директором международного фестиваля "Golden Stag". "Для меня - это большая честь быть назначенной главой проекта Евровидение 2019 на телеканале TVR. Я надеюсь, что мой опыт на фестивале Golden Stag поможет нам реализовать наши общие устремления - организаторов, участвующих артистов и поклонников конкурса. Мы хотим добиться в Тель-Авиве наилучшего возможного результата для Румынии!" TVR также запустил процесс отбора двух вайлдкардов на участие в полуфиналах отбора. Допускаются только песни, ранее не заявленные в основное окно приема заявок с 9 ноября по 10 декабря. Обязательно необходимо указать уважительную причину пропуска участия в этом этапе. Заявки принимаются онлайн по адресу eurovision.romania@tvr.ro. Они будут оцениваться по тем же критериям, что и первая волна приема заявок. Крайний срок подачи - 10 января, а уже на следующий день будут объявлены обладатели вайлдкардов. Ранее было объявлено, что Дан Биттман отказался от участия в национальном отборе. Певец отметил, что в даты его проведения, он будет находиться за пределами страны.